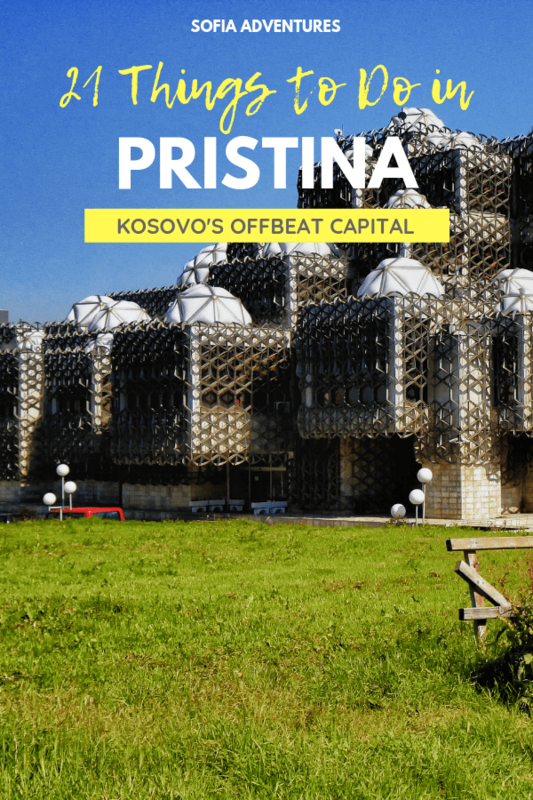 Sofia is an intriguing city, with corners that show at various times a glint of the splendor of Vienna, the charm of Istanbul, the quirkiness of Budapest, and the brutalism of Moscow. 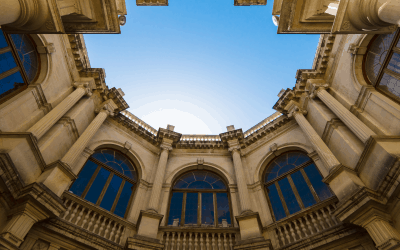 You’ll find Roman ruins in our subway stations, medieval icons in the church basements, and Thracian relics in the former presidential palace. 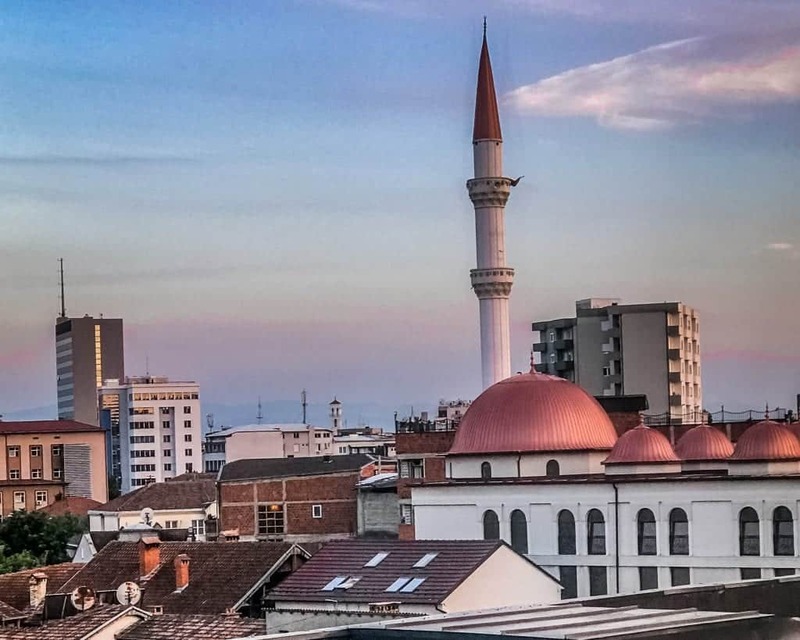 Yet Sofia brings all of these seemingly disparate traditions together into one magical, inspiring city. I’ve visited a lot of Bulgaria, but a visit to Melnik always eluded me. It was just a bit out of the way for most of the day trips I did, and I knew it deserved at least a weekend so that I could explore the thriving wine scene down in Melnik. 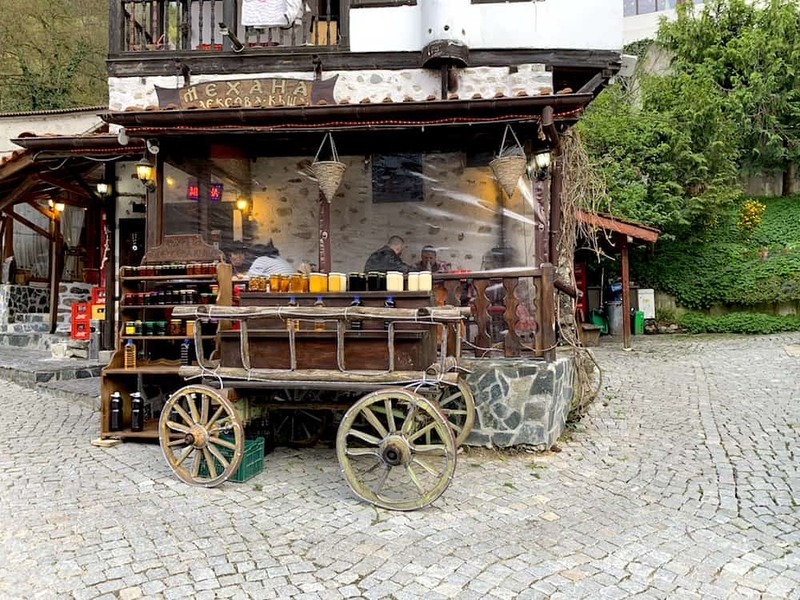 When it came time to decide where to spend a romantic weekend with my boyfriend for his birthday, we ended up deciding to finally visit Melnik, Bulgaria’s wine capital. We had initially planned to visit a ski resort like Borovets or Bansko to enjoy some snow (my boyfriend is from Brazil and therefore snow to him is what a tennis ball is to a golden retriever: complete and utter crack). But since Bulgaria was having an abnormally warm and snowless winter, we ended up opting for lovely Melnik. While it wasn’t a winter wonderland, we had a fantastic, wine-filled trip and were so glad we chose to spend two nights there. 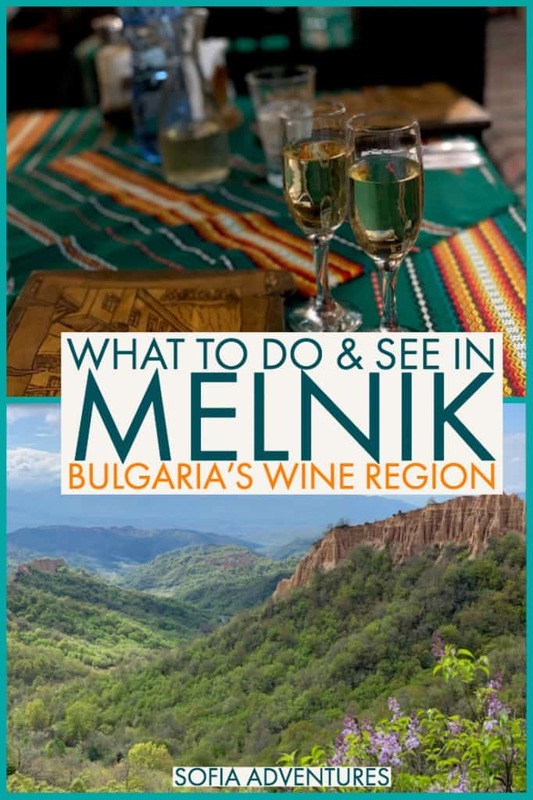 There wasn’t a ton of information on Melnik I could find before my trip, so I hope this guide to visiting Melnik, Bulgaria will be useful as I see this becoming a hotspot for Bulgaria’s booming wine tourism sector in the future. Want to save this guide for later? Click to Pin! Here are the best things to do in Melnik, Bulgaria! 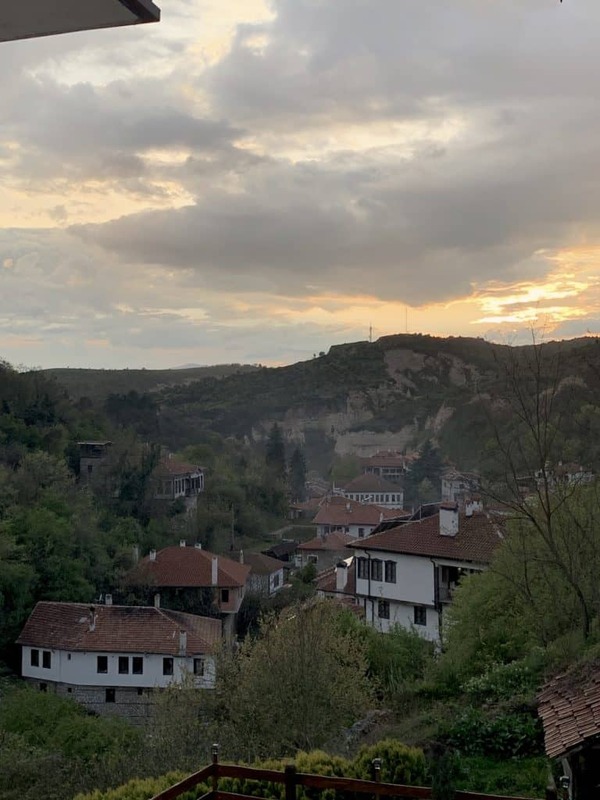 I recommend staying in Melnik for at least two nights if you can, but if you don’t have time for that, it is possible to do Melnik as a day trip from Sofia. 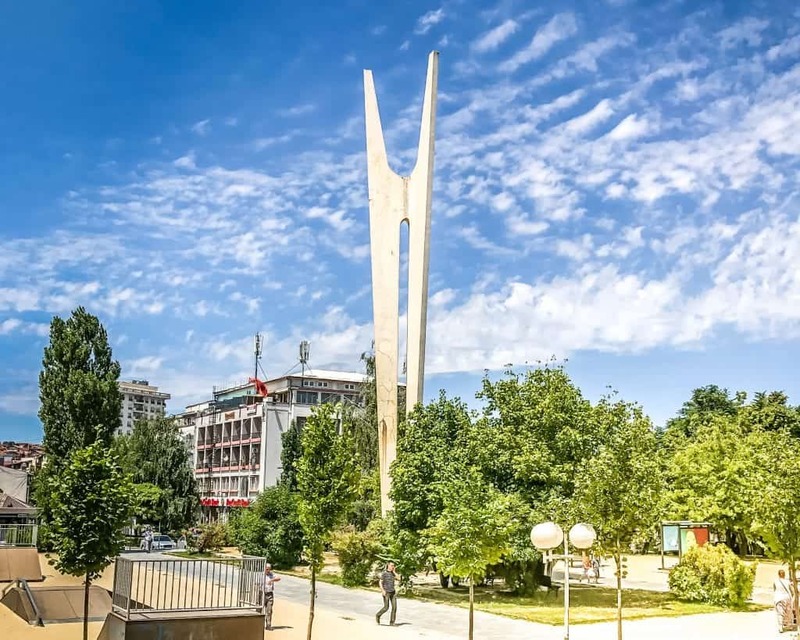 This tour includes transportation to and from Sofia, the wine museum, walking through Melnik, a visit to Rozhen monastery, lunch in Rozhen (at your expense), the Kordopulov house, and a guided tour of Villa Melnik, so it hits most of the highlights below. 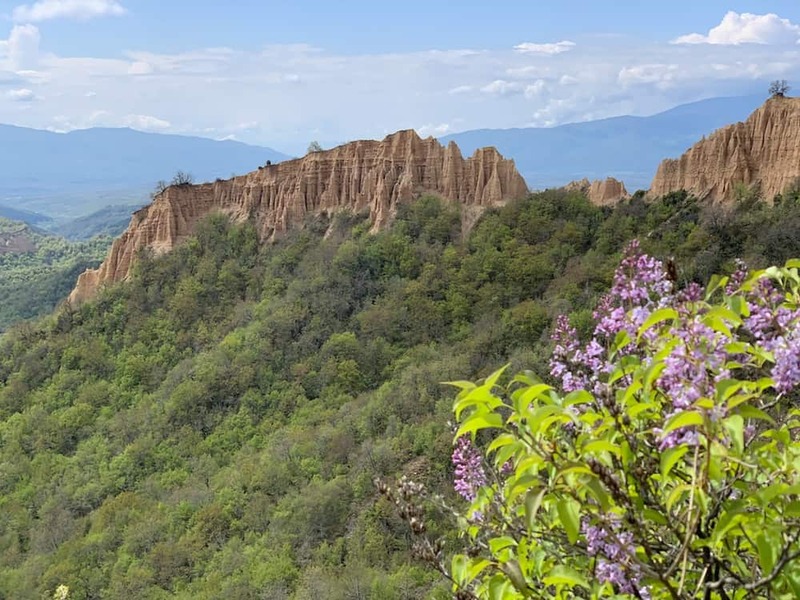 Melnik is best-known for being the heart of Bulgaria’s best wine region, and the town is synonymous with high-quality wine for many Bulgarians. While there are several wineries in the Melnik area, many of them are only accessible via car or on a wine tour. Not so for the wine museum in the heart of town! 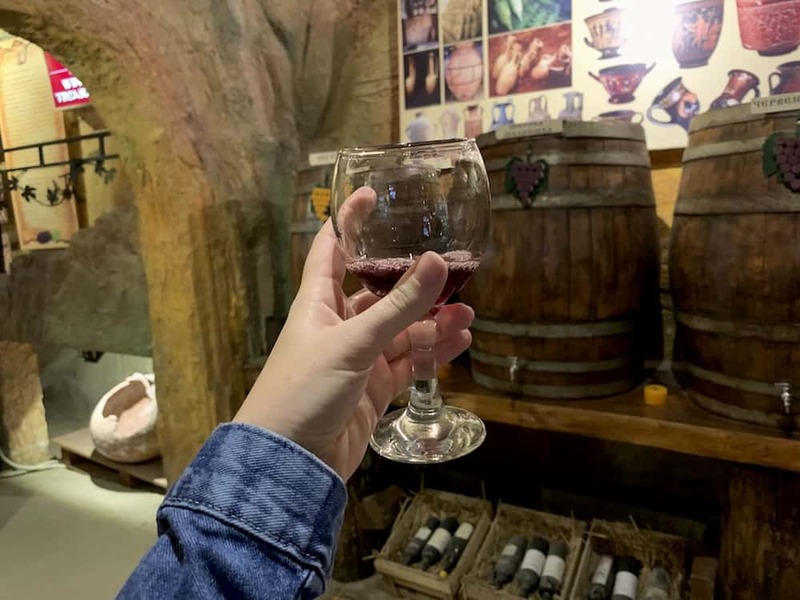 If you want to try some delicious Melnik wines and get some insight into the wine-making process while in town, be sure to check out the cute wine museum located on the main street (which is really, frankly, the only street in Melnik). For 5 leva (less than $3 USD), you can wander around the wine museum and have a degustation of four wines and one rakia. There are lots of artifacts related to the wine-making process, but unfortunately, the signage was only in Bulgarian so I wasn’t able to understand what the significance of the objects were. After wandering around the wine museum for about 15 minutes, we headed into the cellar area for the degustation. We tried one white wine (I believe it was some sort of misket, but I don’t remember the exact name) as well as three different local reds, before moving onto a rakia. The wines were really tasty, so of course, I couldn’t help but leave with a bottle (OK, two). It was really fun because the man helping us with the degustation even let us bottle our own wine, sealing the cork and all! There are so many adorable souvenir shops in Melnik offering a variety of Bulgarian souvenirs that are perfect to take home for a loved one back home. While of course, wine is the obvious souvenir choice, there are plenty of other souvenirs worth bringing back. For a present for someone with a sweet tooth, you couldn’t do better than bringing back some local jams or honey. Other souvenirs you can find in Melnik include traditional pottery, kukeri figurines, typical kitsch like magnets and postcards, and jewelry. 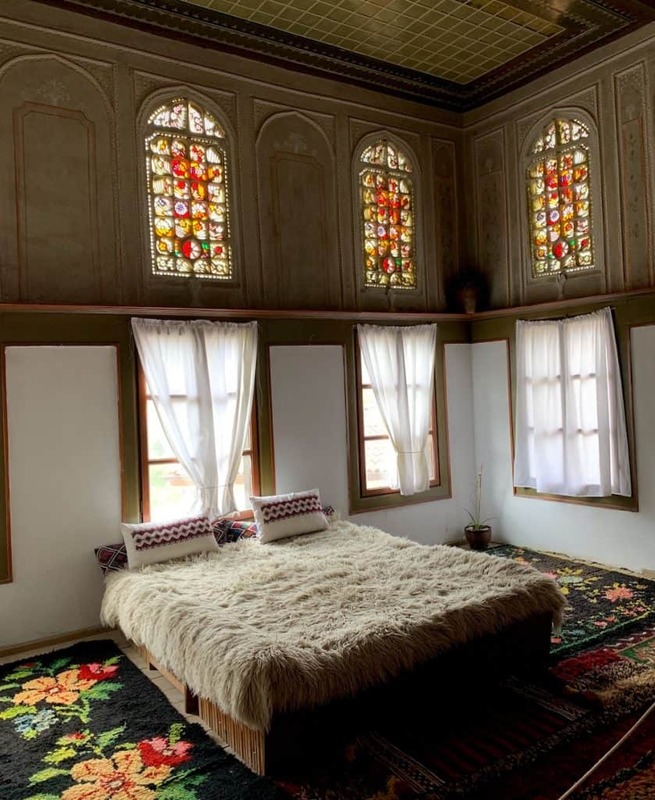 Bulgaria has plenty of museum houses, which are basically private homes that have been converted to museums that have been lovingly kept up over the centuries. 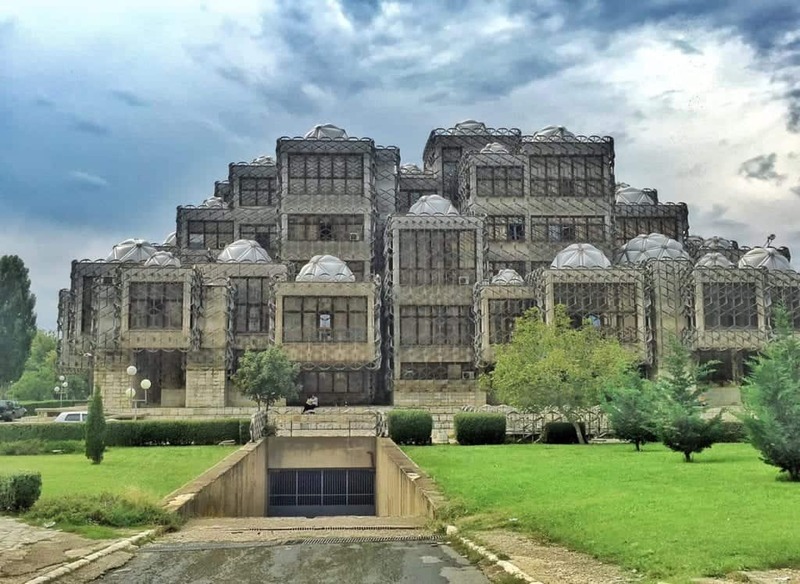 The largest museum house in Bulgaria can be found in Melnik, which is interesting as the town of Melnik itself is really quite small. 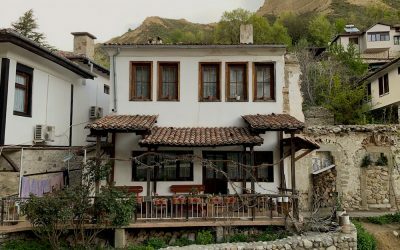 The Kordopulov House was owned by a wealthy Greek trader, Manolis Kordopulos, as Melnik is located not far from the Greek border. The house was built in 1754 for wine production (hence its massive cellar, which you can explore on a visit). Its architecture blends the Bulgarian National Revival style with Venetian and Ottoman architecture trends, including Venetian stained glass windows on some of the upper floors, such as those seen in the picture above. Below the Kordopulov House, you’ll find the ruins of a church which belonged to the house complex. Visiting the Kordopulov House costs 3.50 leva (less than $2 USD) per person and includes a free taste of wine in the cellar at the end of the tour. I’ve been living in Bulgaria for over a year and hands down, I can say that my top two Bulgarian meals have both been in Melnik! 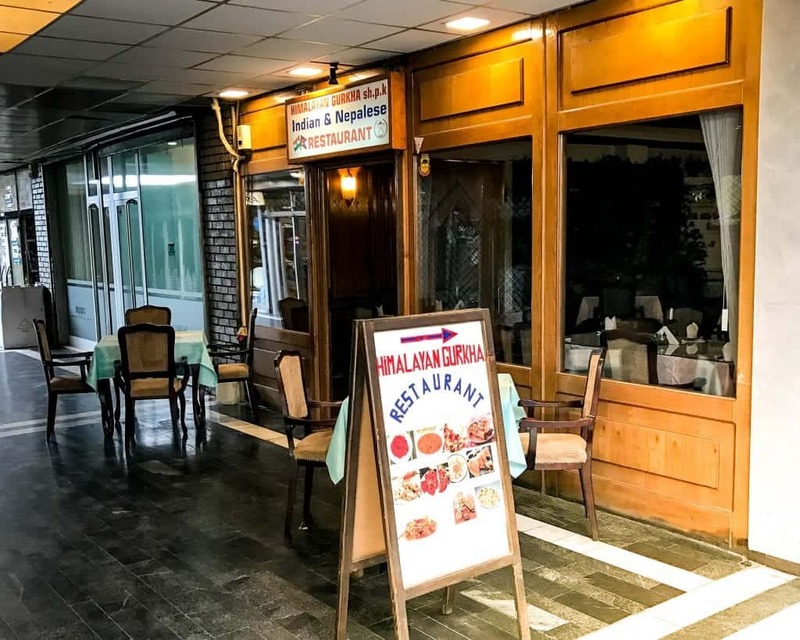 There aren’t that many restaurants in Melnik, but those that are there are truly incredible and seriously serve up some incredible Bulgarian food. The first night, we ate at Mencheva House and our meal was fantastic. We enjoyed sirene cheese baked in honey, sirene-stuffed peppers coated in breadcrumbs and covered in Bulgarian yogurt, gyuvech with sausage and cheese, and baked beans. Every single bite was delicious, but the cheese in honey and peppers in yogurt were obvious stand-outs. 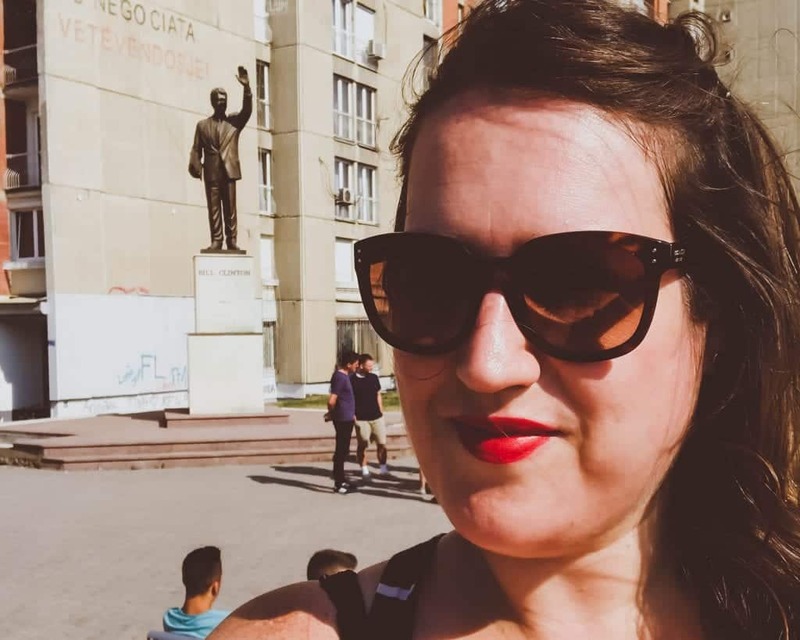 Our second night, we were almost tempted to go back to Mencheva House as the meal had been so delicious but we decided to try another place and we were so glad that we did as our meal there was just as good, if not even better. We ate at Chavkova House and wow. 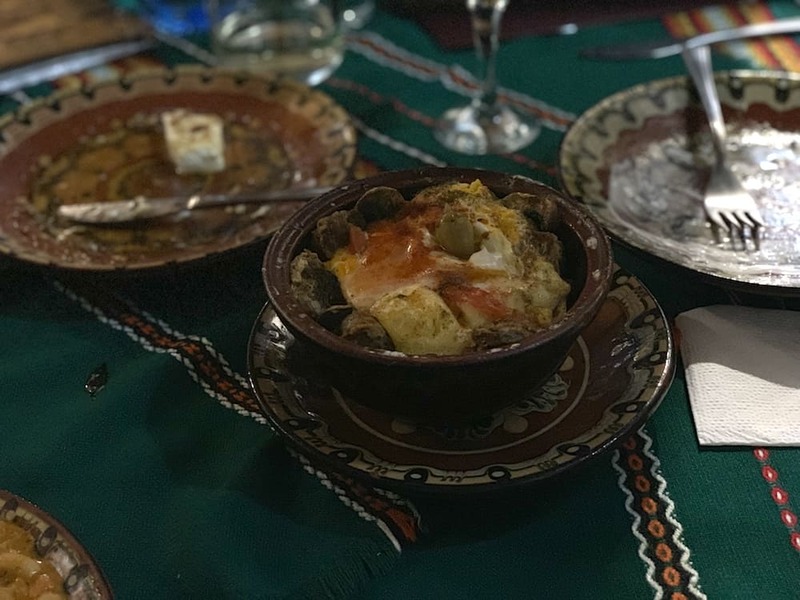 We enjoyed chicken kavarma (a clay-pot cooked stew of peppers, onions, mushrooms, and chicken), ‘village-style’ potatoes (with dill, garlic, and grated sirene cheese), and another gyuvech stew with ham, egg, and cheese. About a 10-minute drive from Melnik, you shouldn’t miss a visit to Rozhen Monastery while you’re in town. This beautiful monastery is the biggest monastery in the Pirin mountain range, located in Bulgaria’s southwest corner. The monastery dates back to the medieval ages, with evidence of a grave as well as artifacts from the Byzantine empire dating back to the 13th century. The marble frieze of the church’s central gate is one of the oldest parts of the monastery complex, dating back to either the 13th or 14th century. The church of the monastery was built sometime in the 1400s and its frescoes and walls were likely painted in the late 1500s. 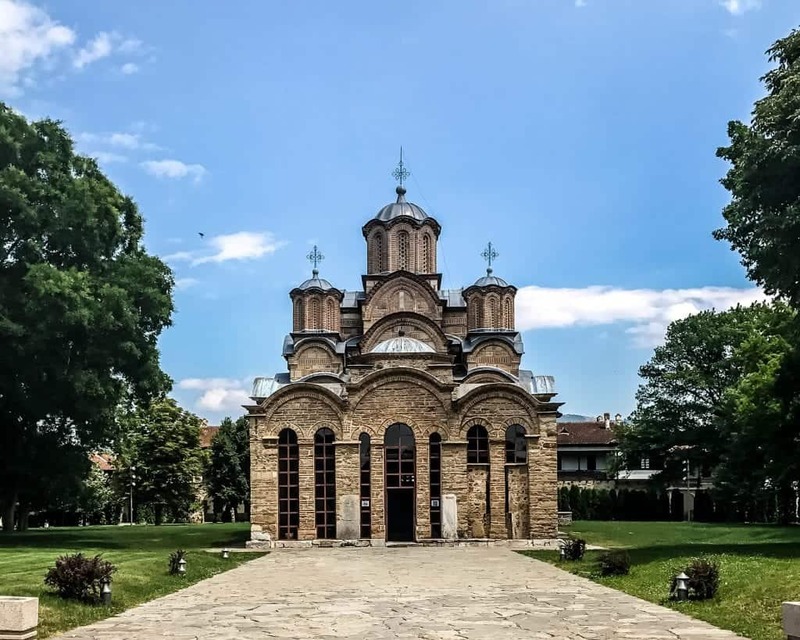 While fires ravaged much of the monastery in the 17th century, it was lovingly restored aided by wealthy Bulgarian benefactors over the next 100 years, finishing in 1732. It’s remained one of the most popular tourist destinations in the Melnik region since. The monastery is free to visit, and no photographs are allowed inside the church. While at the monastery, don’t miss the 10-minute walk to the viewpoint over the Rozhen pyramids – one of the most beautiful formations in the area. Look for a sign that says Rozhen Pyramids in Cyrillic (Роженски пирамиди) – it’s on the upper path leading away from the monastery up the hill. You’ll see a small bench area and that’s how you’ll know you’re almost there. The viewpoint here is incredible! Melnik is best known for its incredible wines and you can’t plan a trip here without visiting a winery, right? 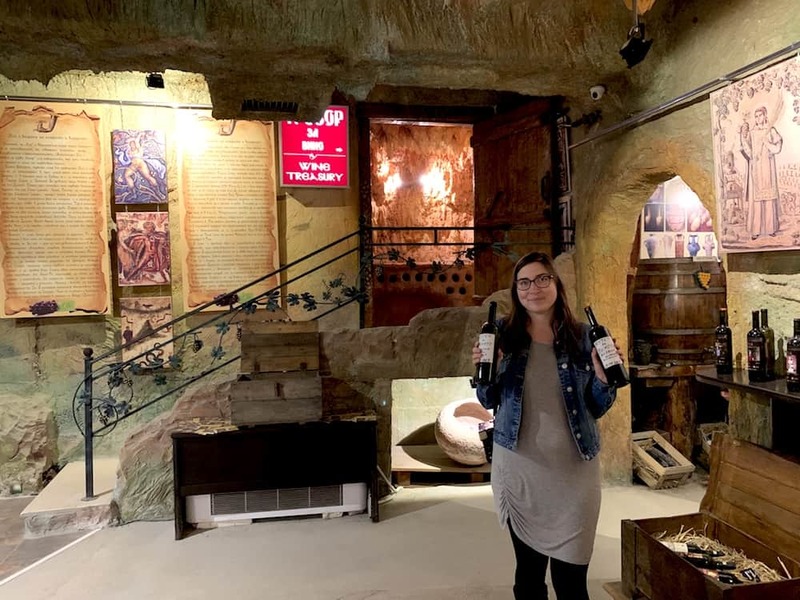 While you can definitely taste some wine at different cellars in the town of Melnik, nothing is better than drinking fine wines from some of Bulgaria’s best winemakers. 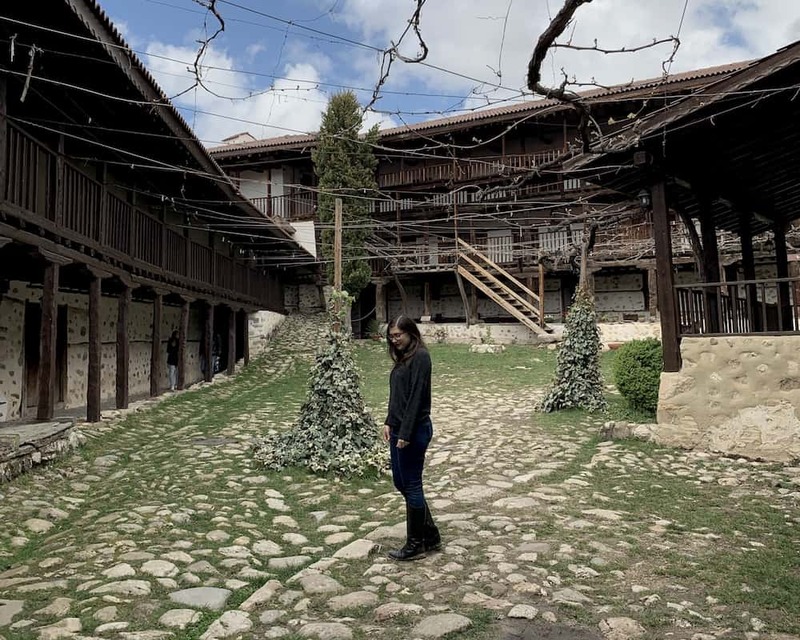 We made a stop at Villa Melnik, one of the most award-winning wineries in all of Bulgaria, and we were so happy we did. 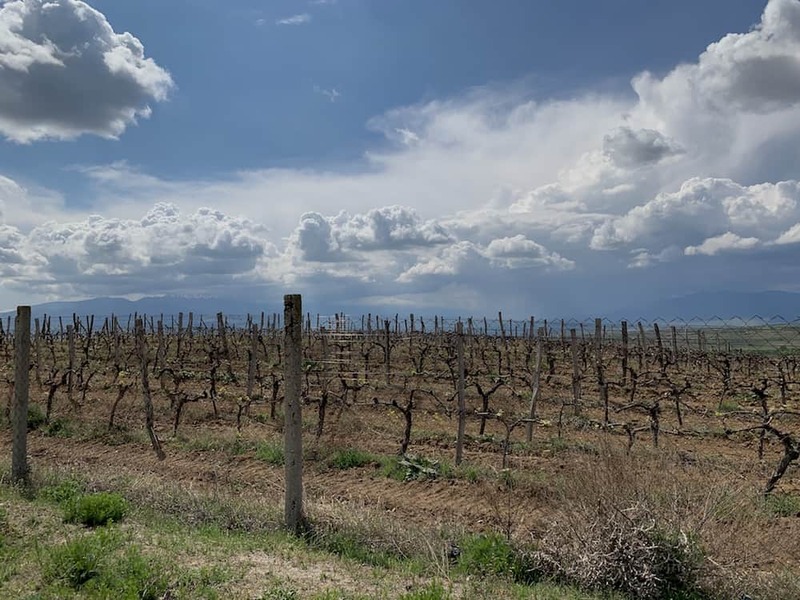 They offer several levels of tours ranging from around 5 leva per person for a simple tour of the winery with a welcome drink to 30 leva per person for a tour of the vineyards, six tastings plus a welcome tasting, and tour of the winemaking facilities. We opted for the 15 leva per person package which meant we got to try 5 wines plus a bonus tasting on the house from their Aplauz line, which are their premium wines. All six were truly delicious, but we especially loved their orange wine (a white wine vinified like a red with extended skin contact) and their Melnik 55. We couldn’t help but bring back two bottles, which were a great value at about 15 leva per bottle and truly some of the best Bulgarian wines I’ve tried. Since we visited Melnik for my boyfriend’s birthday, I made sure to pick the best hotel in town – and all signs pointed to Manoleva House, which had a nearly perfect score (9.9/10) on Booking.com. Our experience there matched that. Our room was fantastic: we booked the triple room and we had a huge double bed, a sofa-bed that we placed all our luggage on but which could have easily slept another person, an ensuite bathroom with a bathtub (! ), a flatscreen TV, and a gorgeous view over the town of Melnik from our hillside location. The floors were heated and everything was super clean and cozy, with really beautiful decor and a warm, modern sensibility to it. The owner, Margarita, was incredibly helpful and kind during our stay, giving us recommendations and offering assistance with everything. The breakfast was fantastic and entirely homemade. One day we had mekitsa with jam and sirene — absolutely fantastic — and another time we tried the banitsa with yogurt. I had the poached eggs and bacon on the first day and they were incredible too! 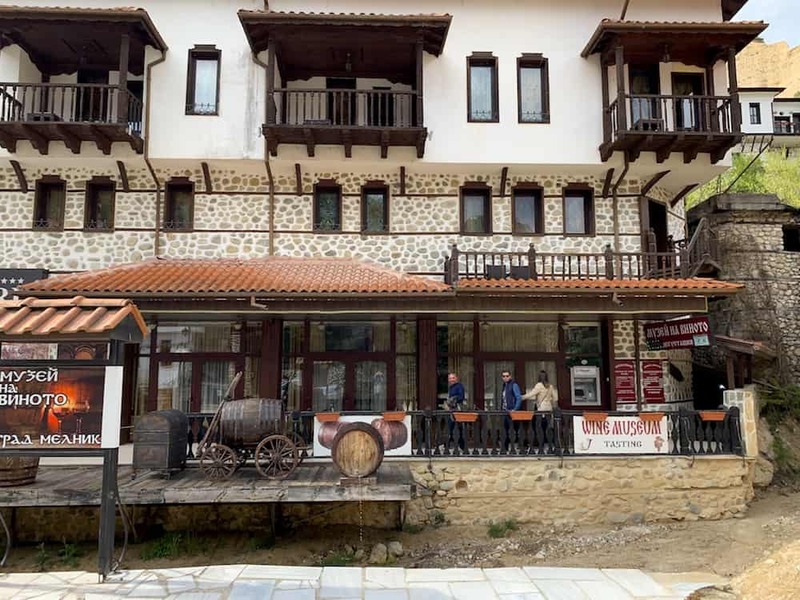 I loved our stay at Manoleva House and highly recommend it to anyone else looking to visit Melnik for a special occasion. Check out reviews, prices, and availability here. 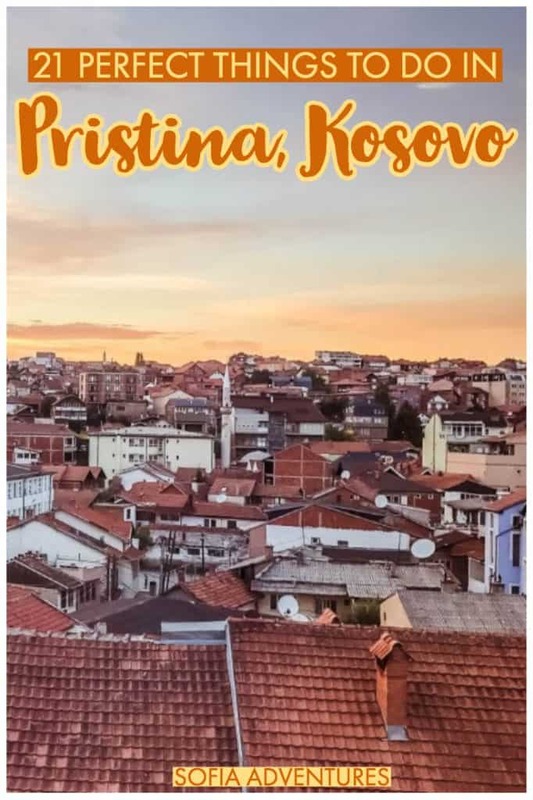 We also have guides on what to do in Sofia, Plovdiv, and Veliko Tarnovo, which are other popular destinations in Bulgaria you might be planning to visit. 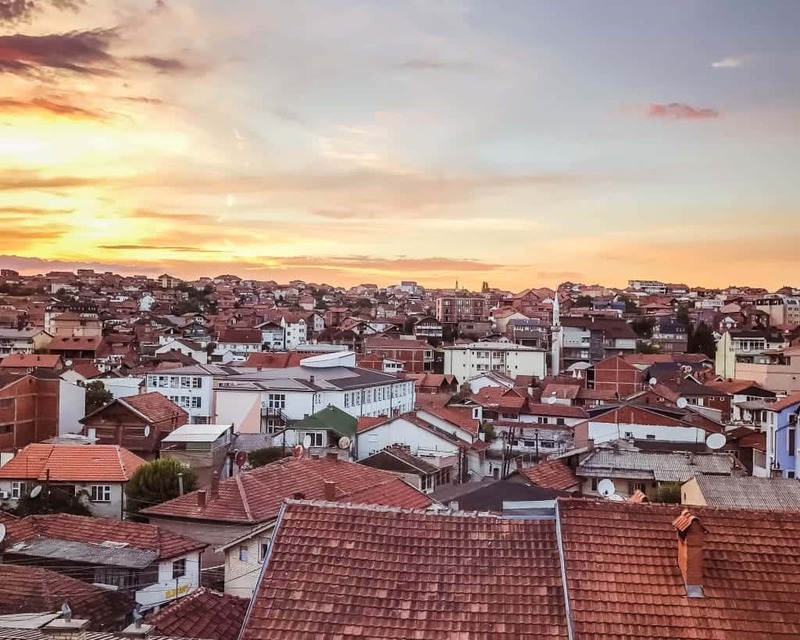 You may also want to check out our overview of Balkan currency, which describes Bulgarian leva and what to tip in Bulgaria. No trip preparation is complete until you have a valid travel insurance policy. 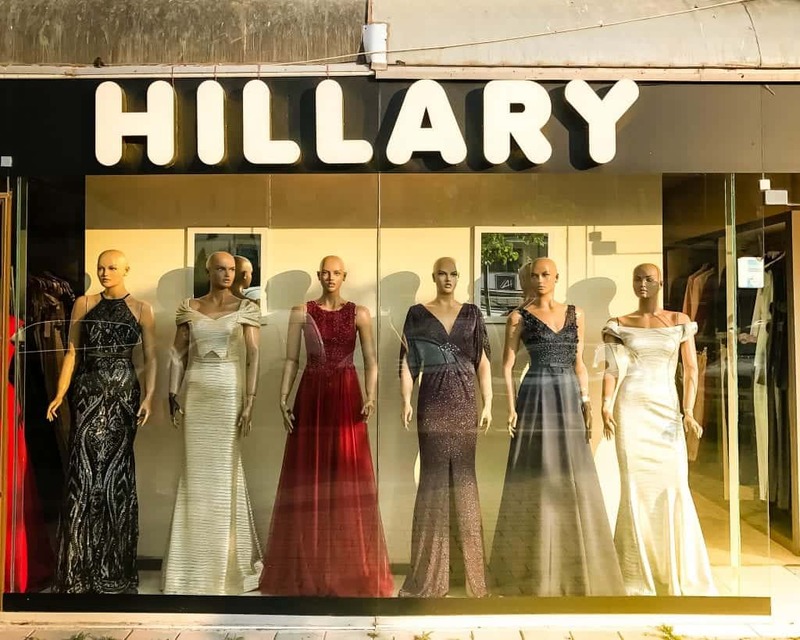 Bulgaria is a safe place to travel, but unexpected things can happen anywhere. You want to be able to get your stuff replaced if it’s lost or stolen, or if you get injured you while you’re enjoying hiking or taking a scenic drive throughout the region. 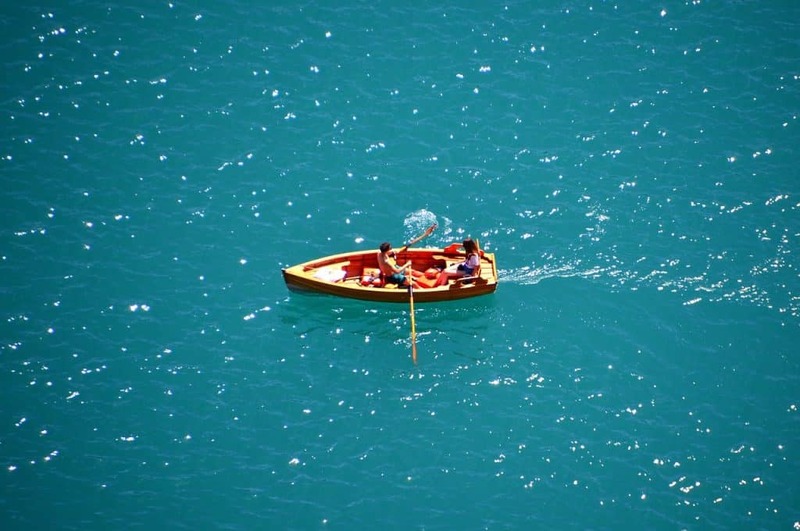 If you’re planning a trip to Lake Bled, you’re in for a treat. Not only is this scenic Slovenian lake paradise ultra-Instagrammable, it’s extremely relaxing and beautiful. 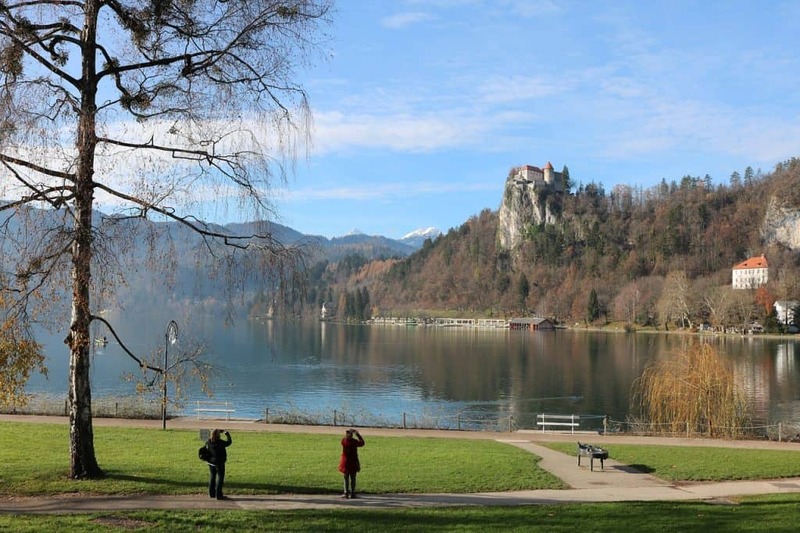 If you’re planning a trip to Lake Bled – whether in summer, in the shoulder seasons of fall or spring, or even coated in snow in the winter – you’re in for a true treat. 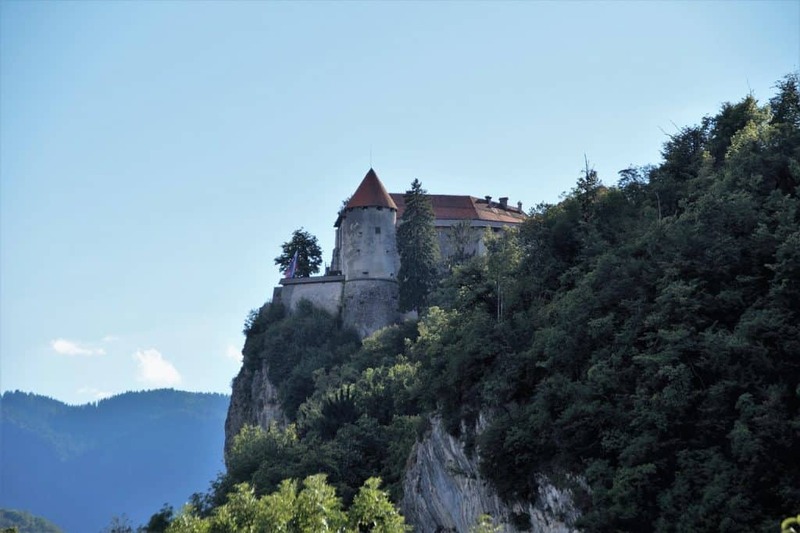 We’ve gathered the best places to stay in Lake Bled and the surrounding area to make planning a trip to Slovenia even easier. 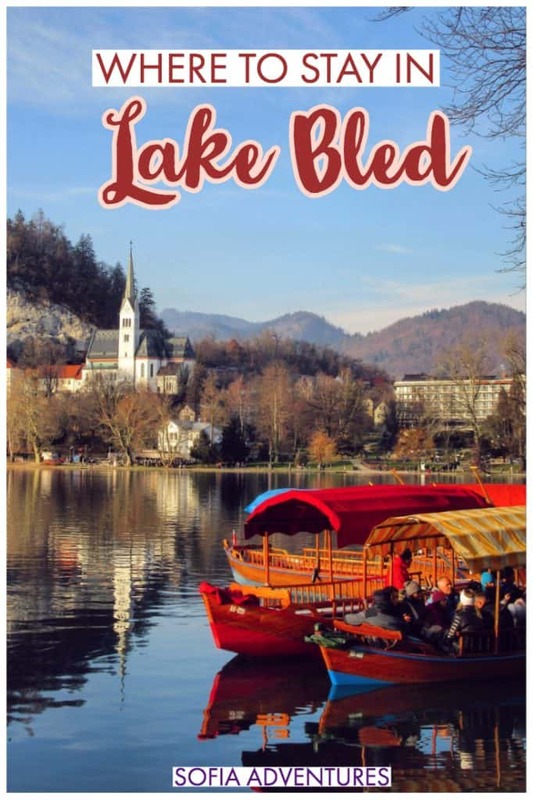 Note that Bled is a very small village and there are limited hotels in the town of Bled and on the shores of Lake Bled itself. As a result, we’ve selected some highly-rated hotels in the towns nearby to Bled, none more than a maximum of 10 kilometers away from Bled. Want to read later? Pin this post to save! You can find some seriously affordable hostels in Bled, close to the lake and all the amenities of town. A bed in a dorm should cost about $15 per night but may be higher in the peak season. In Bled proper, Back Hostel is close to both Bled Castle and the town of Bled, as well as a bus stop for getting around via public transportation or free parking if you have a car. The dorms are spacious and clean with wooden bunks. There is a shared lounge, bar area, and kitchen. Guests have raved about the hospitality here! 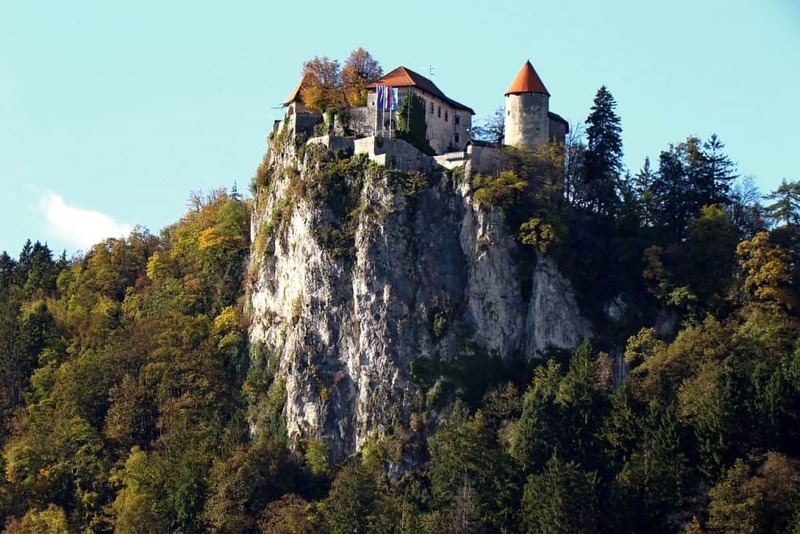 500 meters away from the town of Bled, Castle Hostel 1004 has a great location and a fantastic price. There are both double rooms and dormitories, with 4, 6, 8, and 12 bed rooms. The hostel has a shared kitchen and lounge area as well as a lovely sun terrace on the roof, and it’s a mere 5 minute walk to the lake! Just 200 meters away from the edge of Lake Bled, Vila Bojana is a great budget-friendly place to stay in Bled close to the main road. Rooms here include a complimentary breakfast buffet in the dining room each morning, and there is a terrace on the third floor from which you can enjoy panoramic views over Lake Bled and the natural beauty of the region. It’s close to many restaurants which you can easily walk to from the hotel. Rooms are spacious and quiet, with both heating and a fan available (no AC, so keep that in mind if traveling during the warmer parts of the year). Many power points are available throughout the room, as well as desk space and mini fridges in some room. The furniture could definitely use an update, but for the price and the location, I can find very little to complain about! 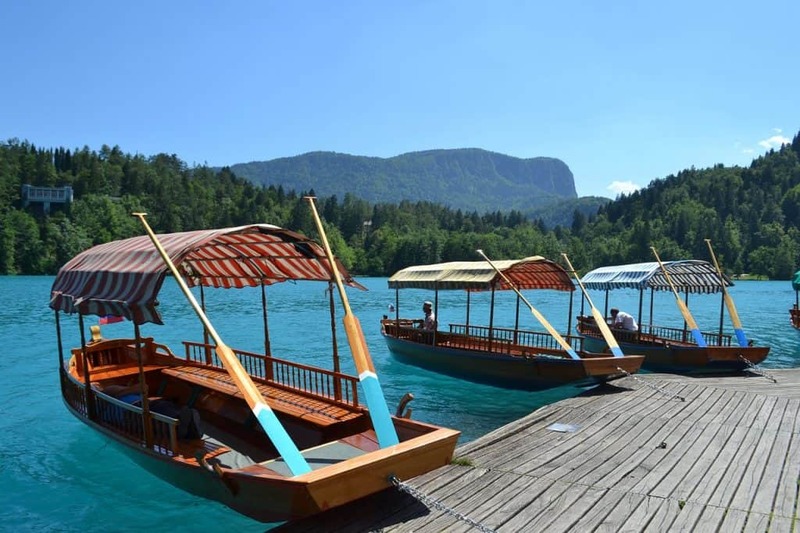 A bit away from Lake Bled, Hotel Krek is a great place to stay if you are traveling to Lake Bled with your own car as they have free parking and you’re less than 5 kilometers away from the lake itself. While you don’t have a lake view, it is just a 10-minute drive away, so it depends on what you prefer for your travel style. Rooms have a large, comfortable bed, plenty of room to spread out, balconies, a shower, AC in each room (great for summer travel as Slovenia can get hot!). Admittedly, the furnishings are a bit dated, but that’s part of why this hotel is such a good budget deal. The rooftop terrace offers a nice view of the surrounding mountains, though you can’t see Bled from there. If you don’t mind being a little away from Bled, Aparthotel Kazina is a great option. It’s a condo-hotel, meaning that the apartment units (but not the doubles and other smaller rooms) come with a kitchen complete with an oven and microwave: great if you are traveling to Bled on a budget, as you can cook for yourself and skip some pricy meals out. A continental breakfast is also available, should you feel like eating in the hotel. It’s about a 15-minute drive from Bled in the town of Jesinice, but it’s within walking distance from a shopping center and major supermarkets so it may be a good choice if you have a car while you are traveling Slovenia as you get a lot more bang for your buck while you’re not in Bled proper. The hotel itself is extremely modern and clean, with new furniture and a great eye for design (unlike some of the other budget offerings in Bled, which definitely veer towards the more dated end of the spectrum and look like they haven’t changed since the days when Slovenia was part of Yugoslavia). Rooms have wooden floors, giant beds, big windows with plenty of natural light, and bedside tables with individual lamps. Generally, in this range you’ll be able to find stylish, cozy accommodations between $75-150 USD per night, on average. 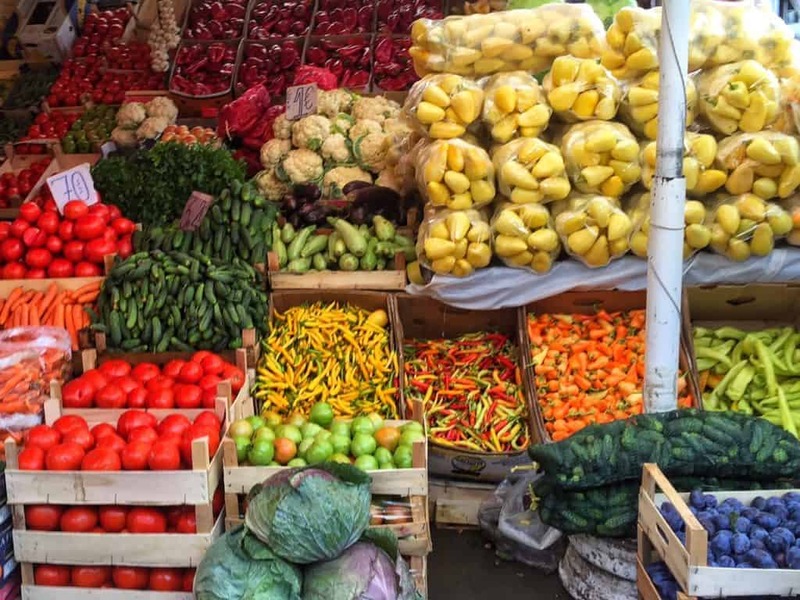 Note that prices will range quite a bit based on the season, however, with prices higher in the summer season and much lower in late fall, winter, and early spring. 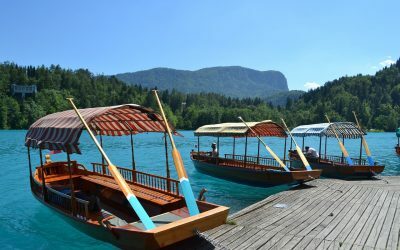 These hotels are not in Bled proper, but very close by – usually just a few kilometers – so it’s a great choice for those with cars as parking in Bled can get quite crowded. Just 2 kilometers from the center of Bled Town, Nature Hotel Lukanc is budget-friendly yet easily accessible by foot or car to the lake (by foot takes about 15-20 minutes). 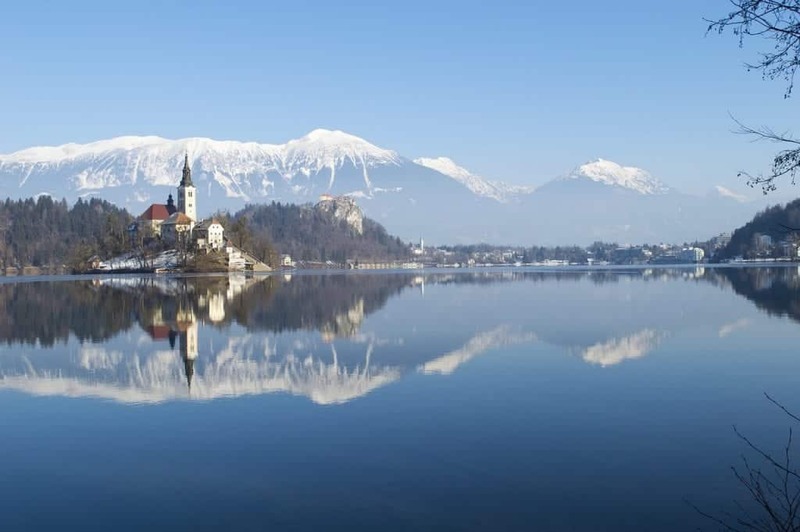 Because it’s just a bit outside of the town, it’s much quieter than the rest of Bled, allowing you the opportunity to enjoy Slovenia’s best asset: its pristine nature. The hotel has its own restaurant, so you won’t even need to go into town for dinner unless you’d like to. You can also relax on the terrace and access the communal garden, which are both lovely places to relax and get away from it all in the summer. Some units have their own balconies with beautiful views over the town of Bled, while still enjoying rural surroundings and plenty of greenery. 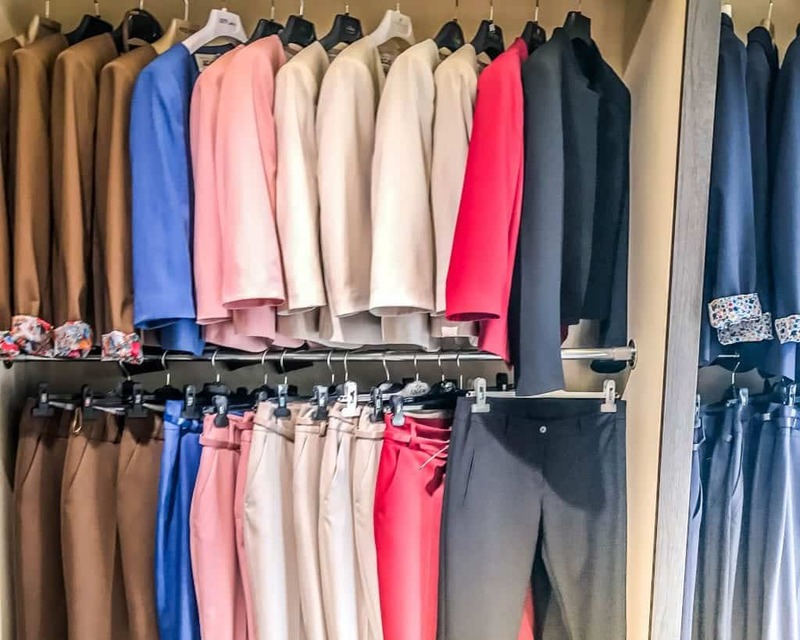 The rooms are a little dated in terms of furnishings but they have everything you need, including extra-large beds, plenty of bedside tables, and big wardrobes so that you have plenty of room for your clothing should you choose to unpack and stay a few days. Desk space and TV is also provided, as well as a kettle for each room. Not located in Bled proper but in the lovely adjacent village of Ribno, this calm hotel surrounded by a beautiful pine forest offers beautiful panoramic views of the nearby countryside. There are plenty of places to indulge in some outdoor activities, including five tennis courts and a beach volleyball court to enjoy. 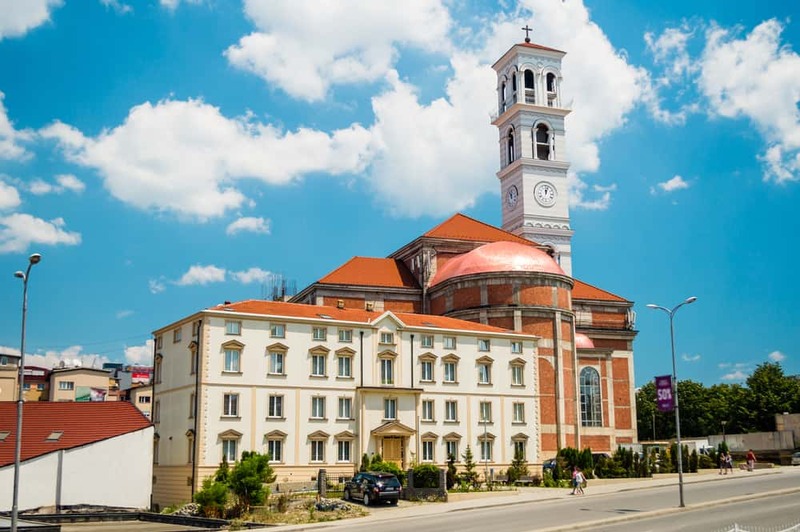 Hotel Ribno has some serious eco-friendly bona fides: it was the first zero waste hotel in all of Slovenia. 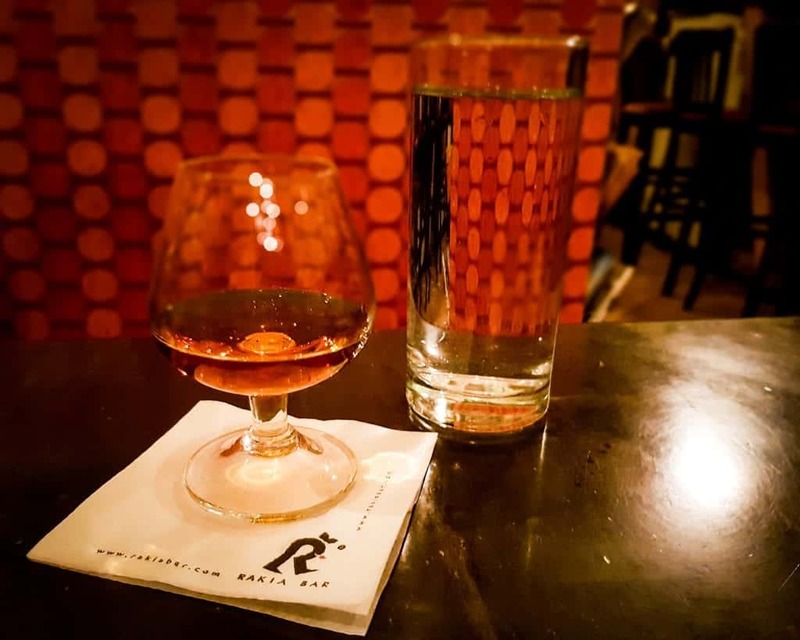 The restaurant is also committed to serving delicious local cuisine (as well as some international favorites) including a wide variety of Slovenian wines that you can taste. The rooms offer incredible views – some even have balconies! The rooms have large windows, lovely wooden furniture, and desk space provided, which give the hotel a super-cozy cabin feel. If you’re looking for an eco nature escape that’s not far from Bled, this is your place. 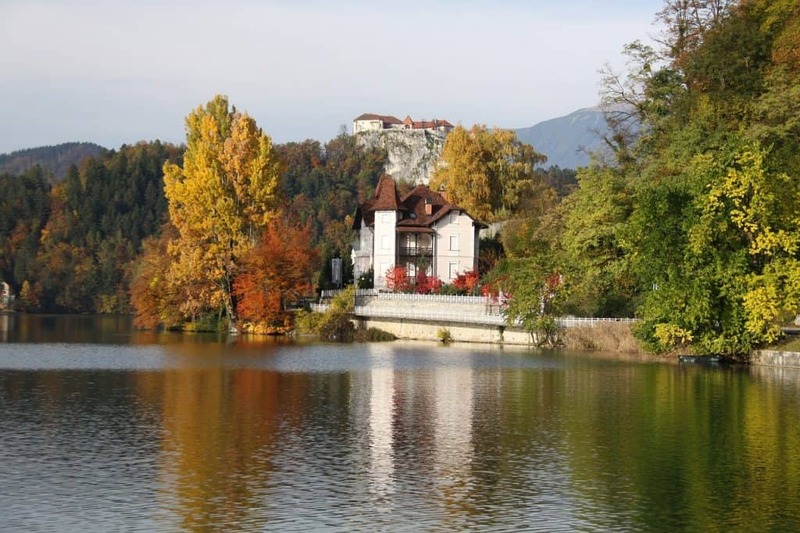 Just under 5 miles away from Lake Bled, Linhart Hotel is a cozy place to stay on a mid-range budget. 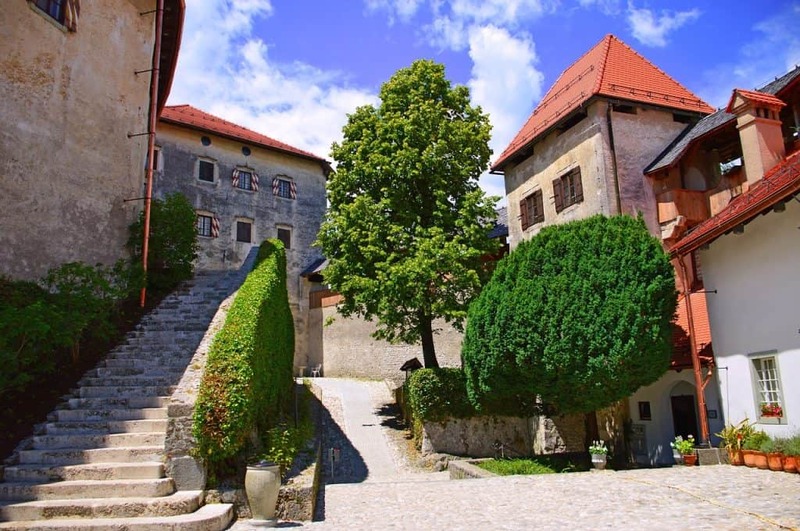 It’s located in the nearby town of Radovljica, recently renovated so that everything looks brand-spanking-new. 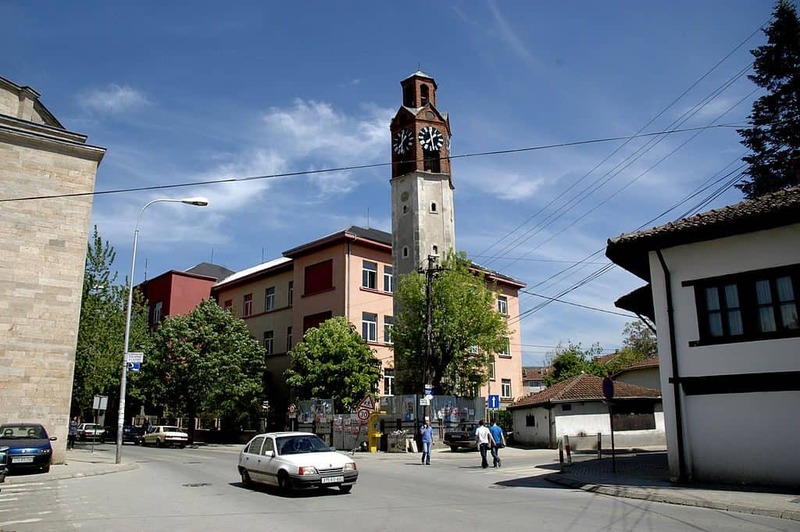 It’s located right on the main square of the small town, so that everything is quickly within arms reach (and it’ll be more affordable in this town then in Bled proper). There’s even an on-site coffee house complete with a terrace! The architectural style is beautifully rustic, modern, and cozy. We’re talking white-painted walls with wood beams criss-crossing the ceiling and walls, rich-hued wooden furniture, airy white linens, and plenty of space to spread out. Other in-room perks include bedside tables with reading lamps, as well as large wardrobe units and seating areas in some of the rooms. Many of the accommodations on this list are not on Lake Bled itself, as there are limited accommodations that meet this criterion. Vila Bled is a notable exception, quite literally located on the shore of Lake Bled, surrounded by beautiful parklands. Why is this hotel so grand? Well, it used to be Yugoslav president Tito’s summer residence! How often can you say that you stayed in the summer house of an ex-communist leader? This hotel is truly luxury at its finest: mid-century modern furniture, an unparalleled view of Lake Bled, a private swimming deck and boathouse, and a delicious in-house restaurant serving up Slovenian and international cuisine. The hotel itself is super Instagrammable, with salmon-pink walls and a stunning breakfast view of the oft-photographed island in the middle of Lake Bled. There’s also an in-house spa with jacuzzi and massage rooms. The interior is a little bit on the older side, but to me, that just adds to the charm of staying in a place that used to be the stomping grounds of Josep Tito! Adora Luxury Hotel (which used to be named Vila Istra) is located right on the banks of Lake Bled, offering stunning views of the lake with its picture-perfect island as well as Triglav Mountain in the background. You can enjoy breakfast with an incredible lake view outside on the terrace in nice weather, and there’s also a small private garden and pavilion you can relax in for a respite from the occasional crowds you’ll find at the lake. There is a variety of rooms on offer, ranging from everything from a cozy but compact double room to luxury king suites and even penthouse apartments, fitting anywhere from two to four people. Decorated with elegance, all the rooms feature unique furniture – new but with an old-fashioned, vintage twist that pay homage to its roots as a former villa. The bathrooms are large and modern, some with his and hers sinks and even bathtubs! Just 200 meters from Vintgar Gorge, and a short drive from both Triglav National Park and Lake Bled, ECO Boutique Hotel AMS Beagle is an incredible choice of where to stay in the Lake Bled area. All rooms have beautiful views, either of the mountains or on-site gardens. The area is popular for a variety of outdoor activities, from horse riding to cycling to hiking to golfing, all of which can be organized by the hotel if required. 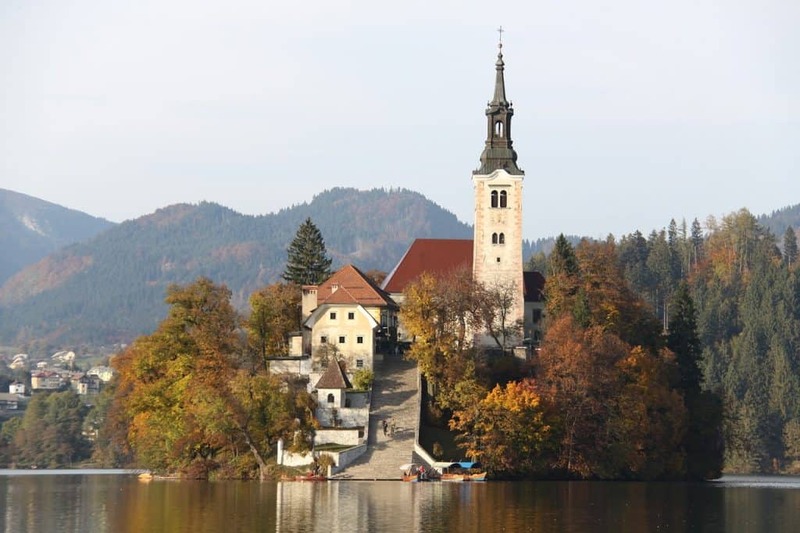 While not in Bled proper, it’s extremely close – just two kilometers away, or about a 20 minute walk. There are plenty of restaurants in the nearby area as well as a gorgeous river, so that nature is quite literally at your doorstep. Some rooms are a bit on the smaller side: others are bigger, featuring kitchenettes, dining areas, and large wardrobe and luggage storage areas. All rooms have rustic wooden furnishings made by a local artisan with an updated-but-cozy feel. The hotel is extremely eco-friendly, using a passive house environment set up: the hot water is heated by solar panels, breakfast is local and all bio/organic, and only recycled paper products and environmentally-friendly cleaning products are used. You’ll enjoy a luxury experience without leaving behind much of a carbon footprint at this stunning eco hotel. If you’re just starting to prepare for your trip to Slovenia, read our guide to planning a trip to Slovenia which features an 11-step checklist! 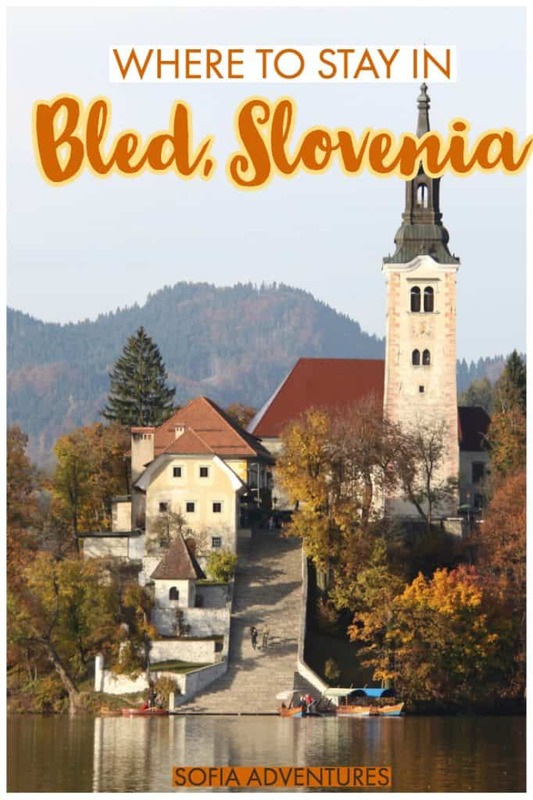 If you’re an avid photographer, you’ll find our Instagram guide to Bled helpful (Ljubljana on the way!). If you need more Slovenia travel inspiration, check out the best places to visit in Slovenia and what Slovenian souvenirs you should bring home. 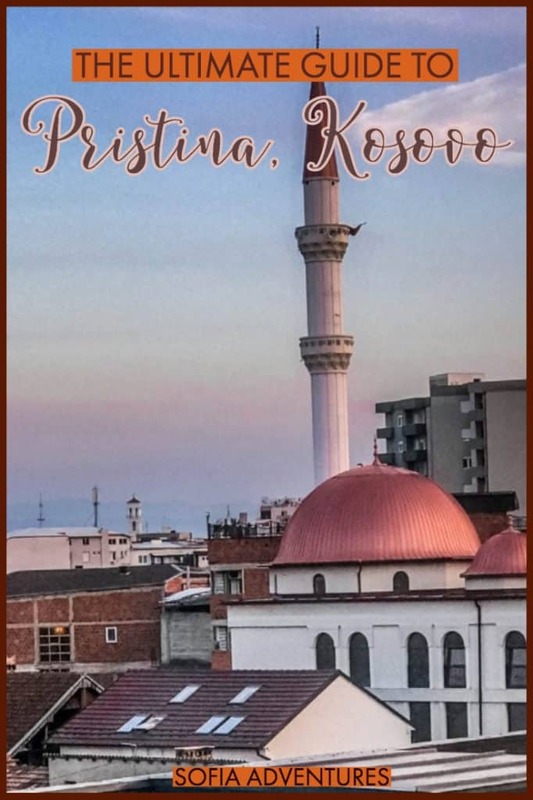 For all of our resources on Slovenia, check out our Slovenia travel page as well as our Balkans guides. 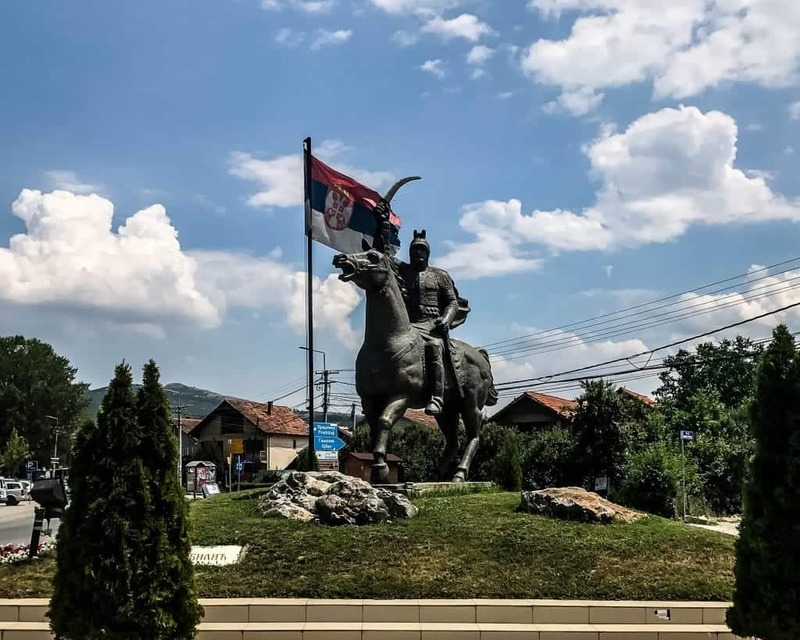 We post new content on the site almost every day, so keep an eye out for new posts or click around to find more content if you are planning a multi-country Balkan trip. Finally, Don’t Go to Slovenia Without Travel Insurance! Make sure you always travel to Slovenia and the Balkans with a valid travel insurance policy. While the country is safe, accidents can happen anywhere. If you experience an accident or theft, travel insurance will help you recover your costs and enjoy the rest of your trip. Most people who come to Heraklion pop in to see the Palace of Knossos, and then move on to more traditionally picturesque parts of Crete. However, after staying in Heraklion in December for two weeks, I have to say that the city has completely charmed me. While it has a more grimy exterior in places, I absolutely adore that about the city. 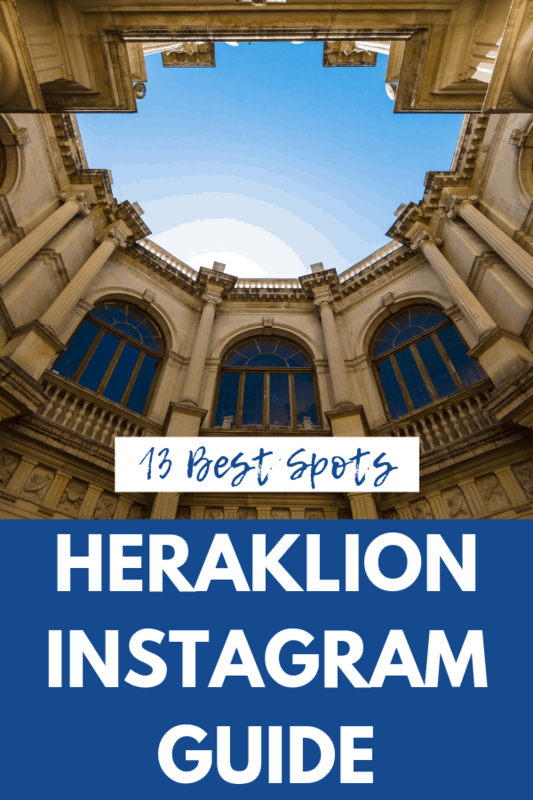 Beyond this, though, there are so many beautiful Instagrammable places in Heraklion and hidden photography spots that you should definitely give the city more than a glancing pass. Want to save this post for later? Click to Pin it! While the city is full of delicious cafes, the most Instagrammable cafe in Heraklion (in my opinion) is Sinaitiko Cafe off of Saint Catherine Square. 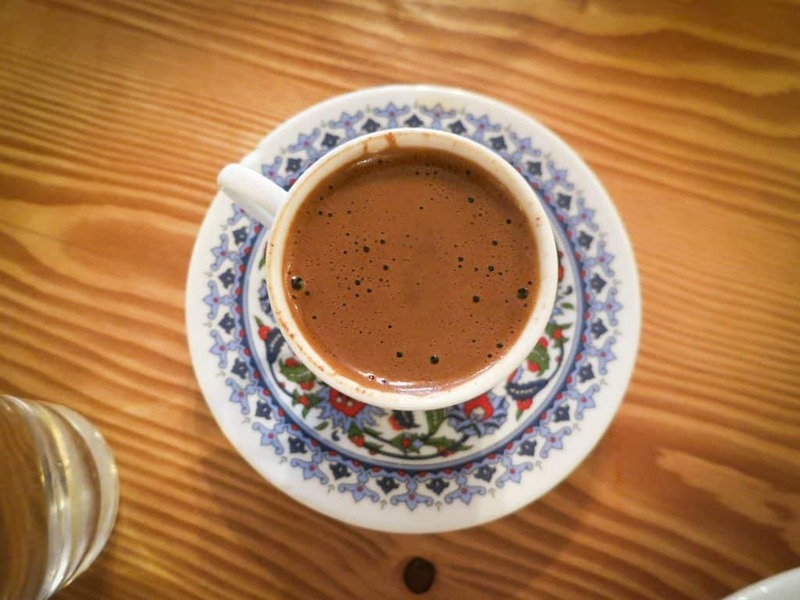 You can sit outside and enjoy a Greek coffee while looking at the beautiful Agios Minas Cathedral and watching the pigeons gather in the trees. Though it would be a shame if you came and didn’t snap a pic of the lovely green door juxtaposed against the orange trees. Most people come to Heraklion explicitly to see the famous Palace of Knossos. If you want to get shots without tourists in them, come early! You can buy a Skip the Line pass and arrive first thing in the morning to help you avoid the crowds. Check prices for Knossos Skip the Line pass. 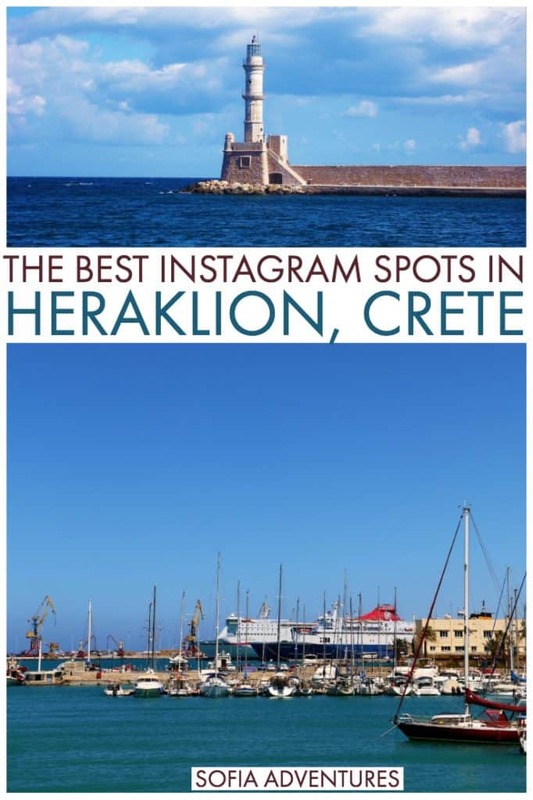 You can’t visit Heraklion and skip the Venetian Harbor. Koules Fortress juts out into the water with the lighthouse at the end of the causeway. When you come down, give yourself enough time to really explore every angle. This shot above is my take on the classic fortress shot. But there are so many other cool angels you can do! I love this shot of the fortress with the water in winter. Don’t forget to play with close-ups and textures when you’re here! 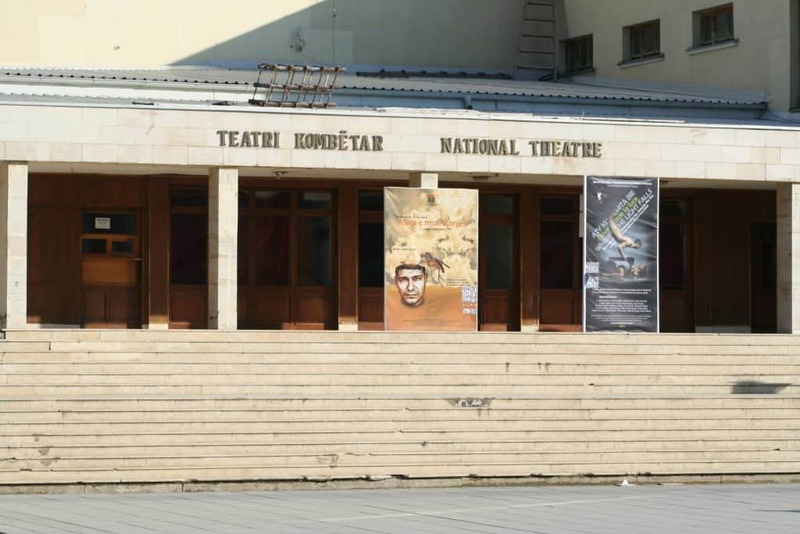 Lakkos Historic District is the former red light district in Heraklion, but these days it is celebrating its seedy past with an amazing display of street art and art projects. 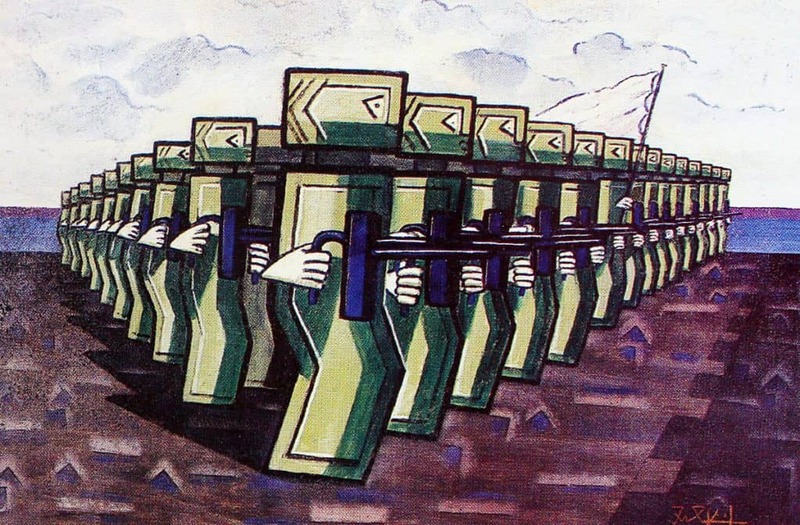 If you love street art, you’ll be in heaven here! Start at the Lakkos Cafe before exploring the surrounding area. A lot of the shoreline in Heraklion is rocky. Even though these areas aren’t the gorgeous sandy Cretan beaches people come to the island for, they still make a great photo opportunity! Come at golden hour so you can play with the reflections and intense colors. If you get out into the residential streets, you can find all kinds of beautiful doors here. I love this green one I found while wandering the city (can’t remember exactly where). Get out and explore the city and find your own gorgeous Heraklion doorway! Of course, not all of the beautiful doors in Heraklion are private houses! Get out into the city and see what you can find. Location: all over the city! From the ground level, the Venetian Walls are impressive, but they’re truly marvelous from above! If you’re traveling with a drone, make sure to check the local drone laws before flying! I fell in love with Crete’s tetrapods while in Rethymnon, but there are some of these super cool engineering marvels protecting the shoreline in Heraklion as well. I can’t find information on whether or not they’re actually safe to crawl out on, so do so at your own risk. But the shot sure does look cool. Of course, you can photograph them by themselves, as they make quite an interesting subject against the water. Most people don’t come to Heraklion for a beach vacation, instead, they come for the culture and architecture and then move onto the beaches on the rest of the island. There are some gorgeous beaches in Heraklion prefecture, including Matala Beach and Stalis Beach. There’s no end to the gorgeous beach shots you can get on any beach, so they aren’t exactly Heraklion-only Instagram shots. However, no trip to Crete should go without at least one (or five) amazing beach days, and you might as well bring your camera when you come down. The Venetian Loggia now serves as city hall, but you can come into the courtyard for free on your own. This is the traditional shot in the courtyard. However, this shot of the sky through the top of the courtyard might be my favorite! I do feel stupid, as I spent a ton of time in this courtyard, and never thought to take this pic! I stayed across the street from the Cathedral for two weeks, and I have to say that it’s a building I have truly grown to love. It’s impressive without being overpowering. There are two squared next to it, one in front and Saint Catherine Square to the side. Agios Titus is the beautiful little church off of August 25th Street. The square out front is absolutely gorgeous, but do take a moment to go inside and see the lovely icons. The fountain has definitely seen better days, but you can’t come to Heraklion and not grab a pic. I enjoyed sitting at the Phyllo Sophies cafe next to the fountain, sipping Greek coffee and eating bougasta while looking at the faded beauty of the fountain and the square. Headed to Crete? If this is your first trip to Greece, check out our guide to Planning a Trip to Greece, which covers visas, budgets, vaccines, and everything else you need to consider as you plan your trip. For Heraklion, make sure to read our guide to the best Heraklion restaurants and cafes. 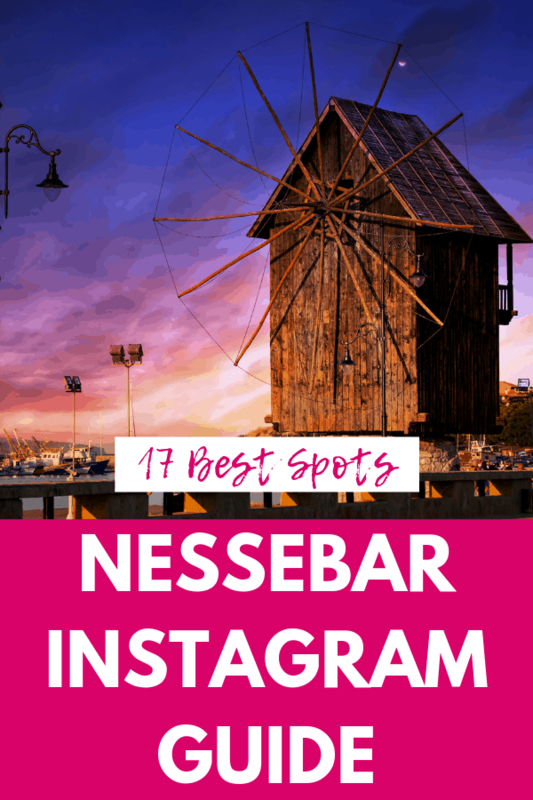 If you’ll be exploring the rest of the island, we have guides to things to do in Rethymnon, Rethymnon Instagram spots, and where to stay in Rethymnon, which includes hotels and hostel recommendations. 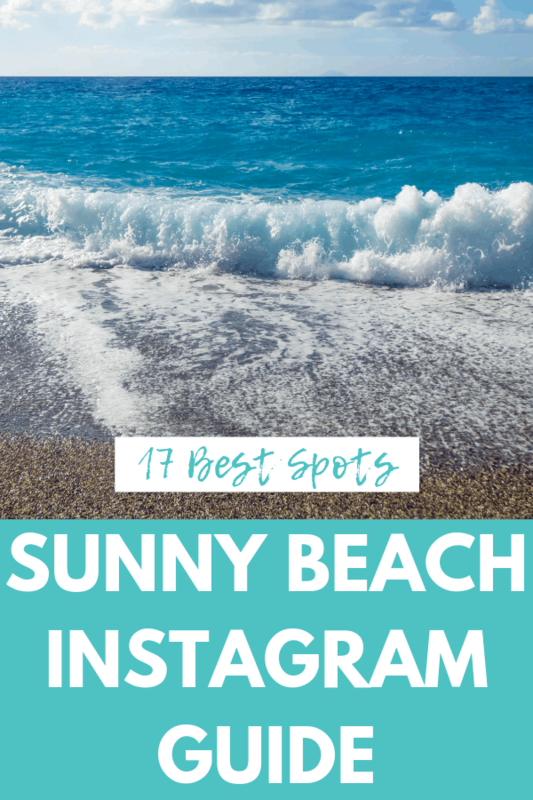 If you’re planning to see Crete’s beautiful beaches, we have our recommendations for the best beaches in Crete and a guide to visiting Seitan Limania (our personal favorite). 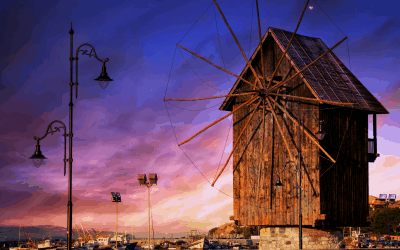 If you’re combining a trip to Crete with the mainland or other Greek islands, check out our Greek Island Hopping Guide and our list of Greek vacation spots if you’re wondering where to go in Greece. We publish new articles and trip advice nearly daily! For more information about traveling to Greece and the Balkans, bookmark our Greece and Balkan travel pages, where you’ll find our entire archive plus anything new we publish before you leave for your trip. I’m sure you’re aware that travel insurance is essential for Crete and for travel in general! 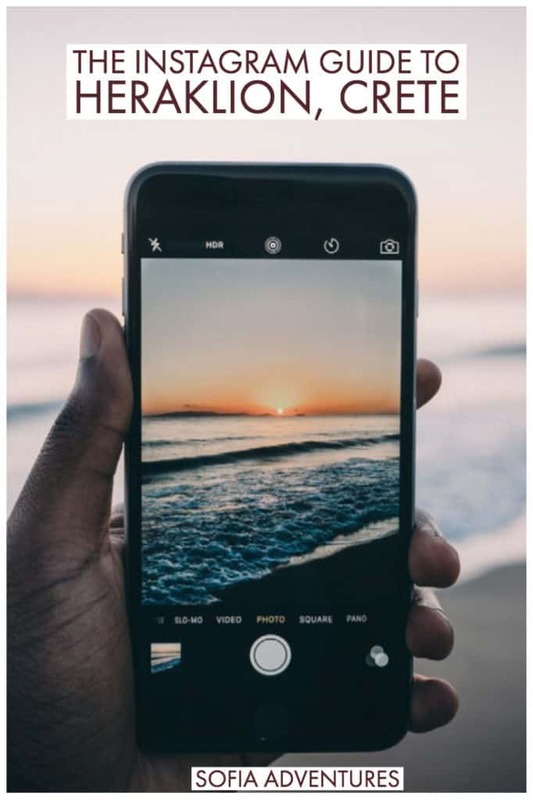 This is especially true when you’re talking about traveling with your camera and smartphone near the water because you don’t want your trip ruined if they get lost, stolen, or fall in the Mediterranean. While Crete is perfectly safe to travel around, there’s always a risk inherent in everyday travel, so it’s better to play it safe. The saying goes “if you can’t afford travel insurance, you can’t afford to travel” is true! Sibiu is one of my favorite cities in Romania, and it just may be the most photogenic of all the places in Transylvania – a high honor, given how beautiful this region is. What can I say about Sibiu? It’s a city that’s so easy to fall for. I love the pastel-colored walls and the strange slit-windowed architecture which makes the entire city look like its squinting at you. I love the town squares which buzz with life, surrounded by buildings older than anything I’m used to seeing back home in the U.S. I love the historical towers and churches you can climb for a stunning view. 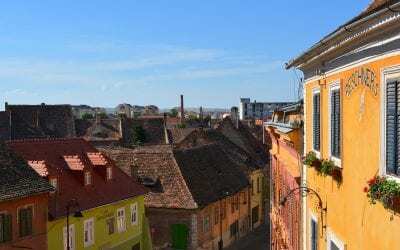 Sibiu is also a great base for a road trip through Romania which allows you to see some of the country’s best sights all within around two hours’ driving distance from the city, so I’ve listed some of those at the end as well. Want to save this post for future reference? Click to Pin for later! The Lutheran Cathedral offers one of the best views over the city of Sibiu. The rooftops are especially beautiful when Sibiu has been hit with a dusting of snow, which is the way I fell in love with Sibiu and the way I’ll always feel it looks best. To get to the top, you’ll have to ascend the slightly scary steep steps up to the bell tower – and there are way more of them than you think. Trust me, you will end up winded! But it will be worth it (and the 8 lei/~$2 USD entry fee) when you get to the top and see these stunning views. A lot of fuss is made of the view from the Lutheran Cathedral Belltower, which obviously is one of the top Instagram spots in Sibiu, but not as much hype surrounds the interior of the Lutheran Cathedral, which I think is a shame! This building is beautiful, with a criss-cross buttress pattern on the roof that reminds me of churches you’d find in France and Rome. The look is very simple but beautiful, and you really should take the time when exploring Sibiu to spend a few minutes inside the cathedral proper. The Lutheran Cathedral of Saint Mary can be quite hard to photograph from the exterior due to its size and position within the city. You’ll have to get a little creative when it comes to picking the right angle to photograph it! Be sure to straighten out its lines in Lightroom or Snapseed afterwards for a more professional, symmetrical effect. 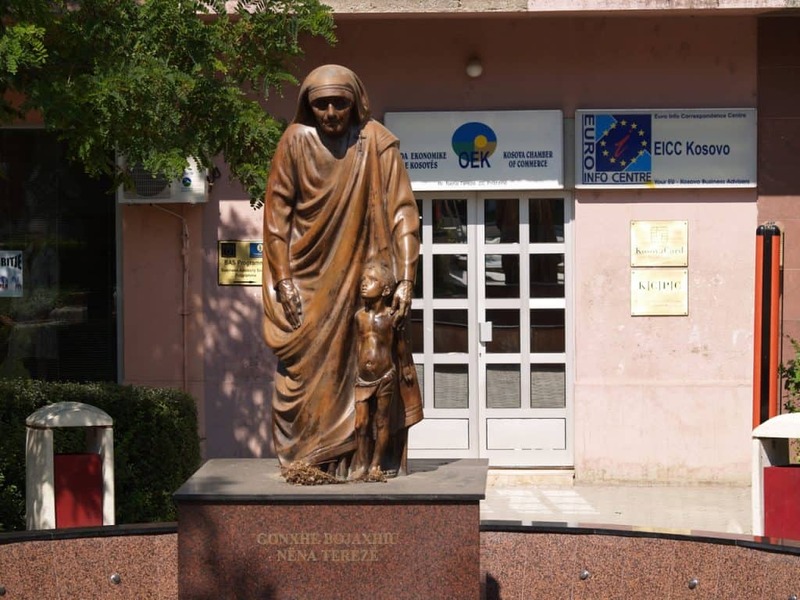 Here’s another great view of it, which you can find in the area around Strada Centumvirilor (bring a good zoom lens!). One can’t-miss place in Sibiu is its main plaza, Piata Mare, which is in the heart of the city center. Grab a gelato, throw it against a backdrop of a typical European plaza, and bam, Instagram gold. One of my favorite streets in Sibiu, Strada Centumvirilor, has some great views of not only the Lutheran Cathedral, but also the traditional cobblestoned street and pastel-colored buildings that make Sibiu so photogenic. The fact that the street is angled downwards means that you can get a lot of the city in your photo and play with perspective and compression in lots of interesting ways, particularly if you have a telephoto lens. Here’s one of my favorite shots from my trip to Romania: me standing on the Bridge of Lies, which I got a friend to shoot from the street adjacent to the bridge. This is one Sibiu Instagram photo that would be a little hard to pull off solo (with just a tripod) because you’d have to be quite far from your camera to get this exact shot. While I feel like Romania is very safe, I generally like to be close to my camera, and this would be a bit of a test of my comfort! The Bridge of Lies is beautiful, and there are a lot of fun angles you can capture it from in order to have more versatile photos that you can use in the future to illustrate your time in Sibiu. I particularly like these photos that are taken from the street beneath the Bridge of Lies in Sibiu and think a better Instagrammer than I could have a field day with this brick wall, wrought-iron bridge, and pastel-house backdrop! The alleyway on which you’ll find the entrance to Kleines Café, right off of Piata Huet, is one of my favorite of Sibiu’s many scenic alleys. Kleines Café means “small café” in German and it’s pretty dead on as this is supposedly the smallest café in all of Sibiu! It’s small inside, but it’s a great place to warm up for a bit if you happen to be visiting Sibiu during the pretty but bitterly cold winter (get a hot chocolate here, it’s delicious!). One of the quintessential photos of Sibiu is a shot of the famous “Sibiu eyes” that this city is known for. This shot is of the Old Town Hostel in Piata Mica, but you’ll find them all over the city. Zoom in and frame it tight for a unique, detailed photo. Sibiu has an open air museum similar to many other Eastern European cities like Tallinn and Bucharest, and it’s really stunning! 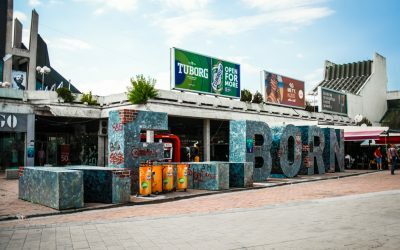 It’s close to Sibiu’s city center, just 4 kilometers, so it’s definitely an easy side trip while you’re visiting Sibiu. 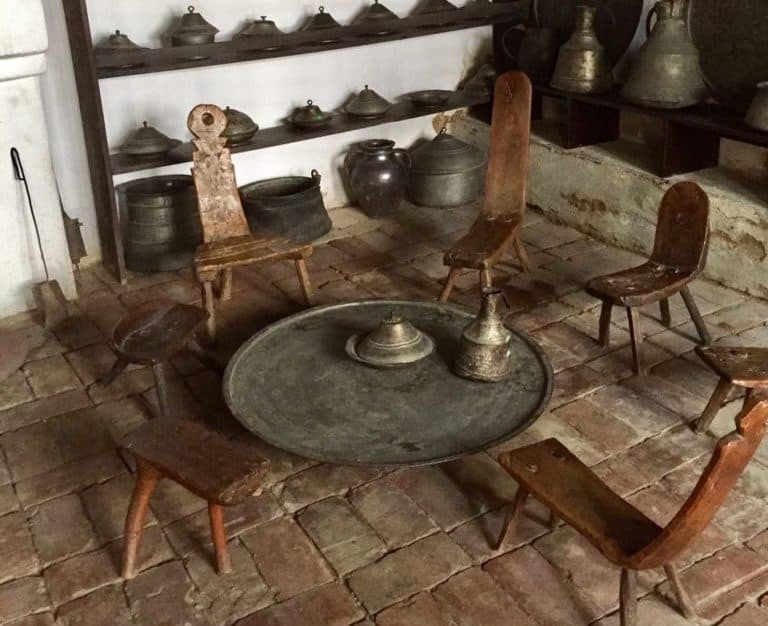 You’ll find a variety of museums on topics related to Romanian ethnology and folk life in this museum complex, which also is home to traditional village houses (300 of them! ), artificial lakes, and artifacts such as typical textiles and pottery. Castelul de Lut Valea Zanelor (much simpler to call it Clay Castle) is an eco-hotel-to-be, which you can visit while they finish up construction. They have a tiny coffee stand with some outdoor seating that you can visit in the meantime, and you can pay a small fee to visit and take photos. 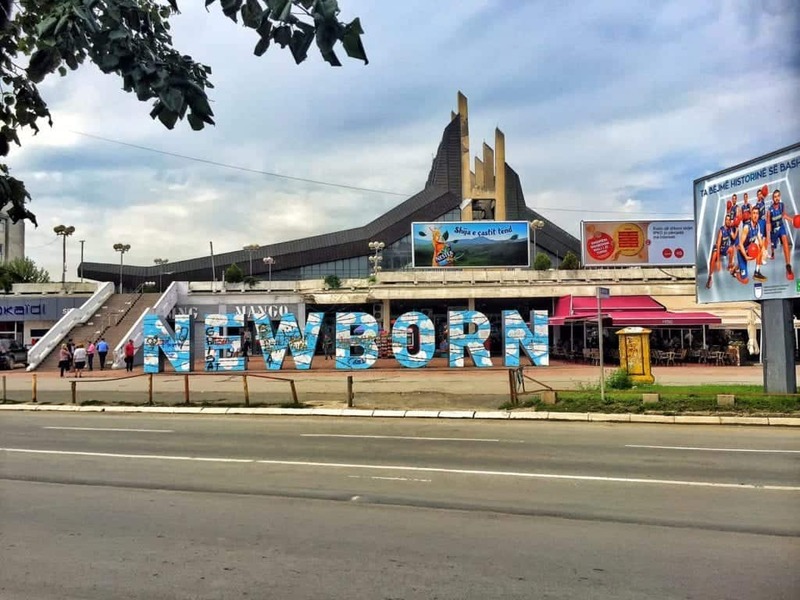 It’s located about 50 kilometers outside of Sibiu without any public transportation options that I’m aware of, so it’s not a place you can easily get to on a whim. However, if you are doing a road trip through Transylvania and have access to a car, I highly recommend adding this to your Transylvania itinerary. 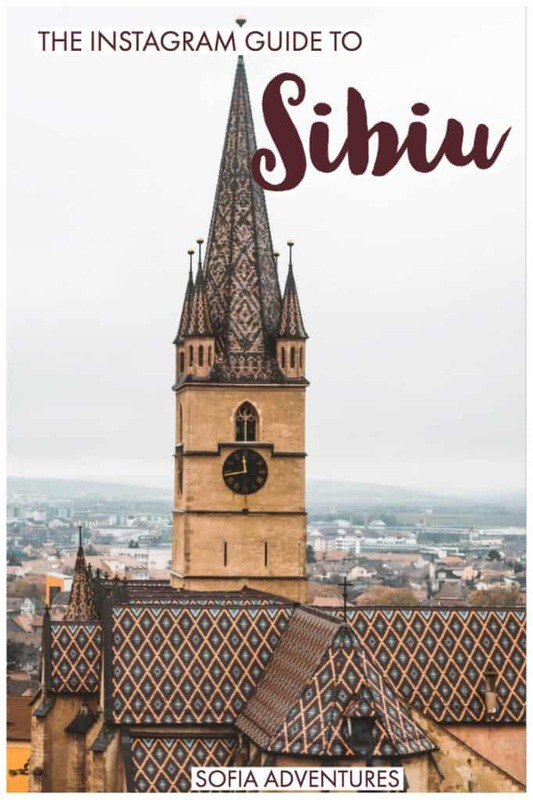 100 kilometers away from Sibiu, but easily accessed via public transportation, if you’re an Instagrammer visiting Sibiu you seriously need to make sure you can squeeze in at least a day trip to Sighisoara! Unfortunately, I only got to spend about two hours here but it was easily one of the most beautiful places I visited on my entire Romania trip. Don’t miss a day trip there if you’re in Sibiu! About 87 kilometers from Sibiu is the fortified church of Biertan, one of the most beautiful places in Romania. Again, this is a place that’s best to visit on either a guided day trip or if you have a car as public transportation between Sibiu and Biertan is limited at best. 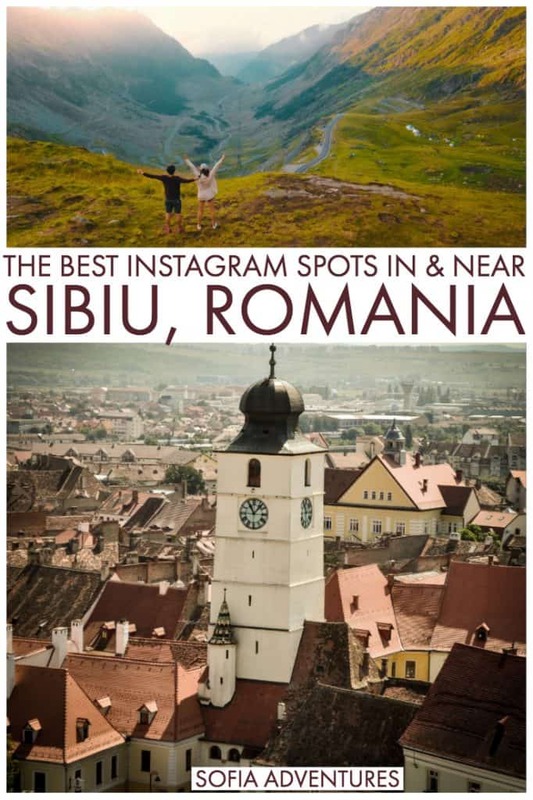 I recommend this guided tour that includes both Biertan and Sighisoara, two of the most beautiful Instagram spots in Romania, which you can learn more about here. One of the most beautiful castles in Transylvania, Corvin Castle is located just an hour and a half’s drive away from the city of Sibiu. It looks strikingly similar to how I’d imagine Hogwarts looks, don’t you? Between this and Clay Castle, there are so many fairy-tale places in Romania to discover! The most famous highway in Romania, frequently named one of the best roads in the world, you simply can’t miss driving on the Transfagarasan if you’re visiting Romania in the right season (keeping in mind that it can get closed in bad weather). Having your own car is best, obviously, but if you can’t do that or don’t want to then there are day trips which will take you from Sibiu to Balea Lake via the beautiful Transfagarasan (you can learn more and book here). An hour and a half away from Sibiu, you’ll find one of the most gorgeous lakes in Romania at Lake Balea. It’s best visited in the summer when you can see the beautiful lake in all its glory (and also to be able to drive here rather than having to take the cable car in, as the road is inaccessible during the winter). While Balea Lake is relatively well-known, fewer people know that Balea has a waterfall which is a relatively easy hike away from the lake. You can visit this and Balea Lake via the Transfagarasan on this day trip, or go via your own private transportation. Finally, make sure you always travel to Romania with a valid travel insurance policy. 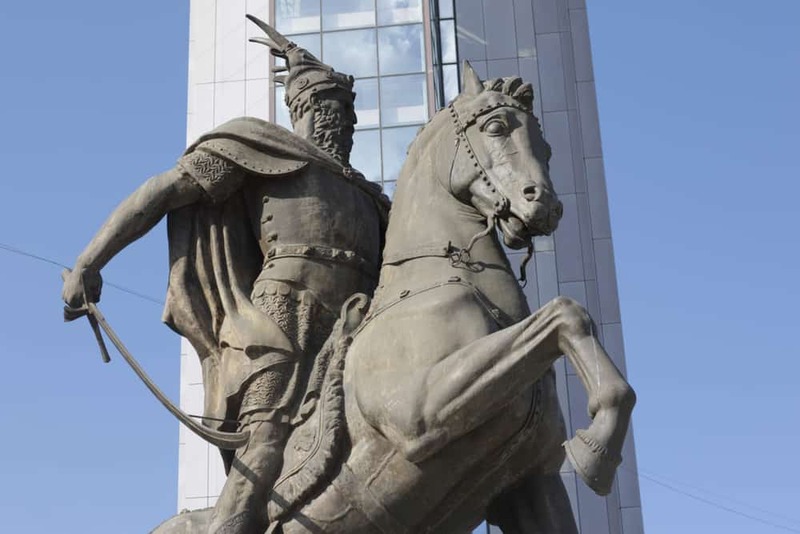 Transylvania is a very safe place to travel, but accidents or theft can easily ruin your trip if you don’t have the travel insurance coverage to recover the losses. Recently my aunt fell on a train in France and needed surgery, but luckily her travel insurance covered the costs in full. Thank goodness!